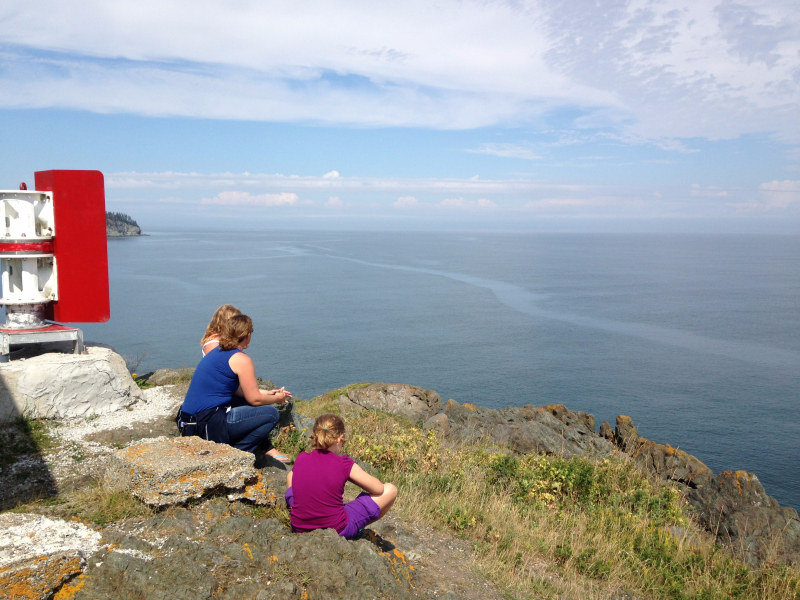 The girls and I travelled to Cape Breton on the weekend. Although it was a short visit, we felt like we did so much. 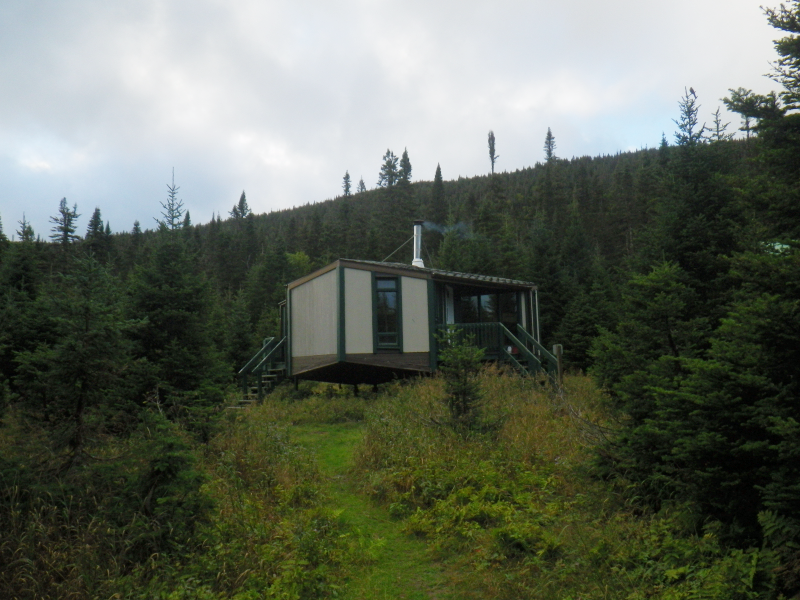 Other than depicted below, the highlights included visiting the neighbours kids for trampoline and zip line fun; walking to the community park ‘on their own’; seeing their first black bear while on the highway to Margaree; making seaglass art for Mothers Day; and visiting Grandpa at the store. On the last point, both girls were cute to immediately assume their working roles behind the counter. This was especially neat for them as Grandpa is in the final stages the sale of the Brook Village Grocery. The new owners are to start at the end of June and we may be seeing more of Grandpa starting in July! The photo of the concert was taken at the Inverary Manor in Inverness. Mom and an aunt and uncle were among those who sang Beatles tunes on Sunday afternoon. It was an excellent renewal of the old songs! 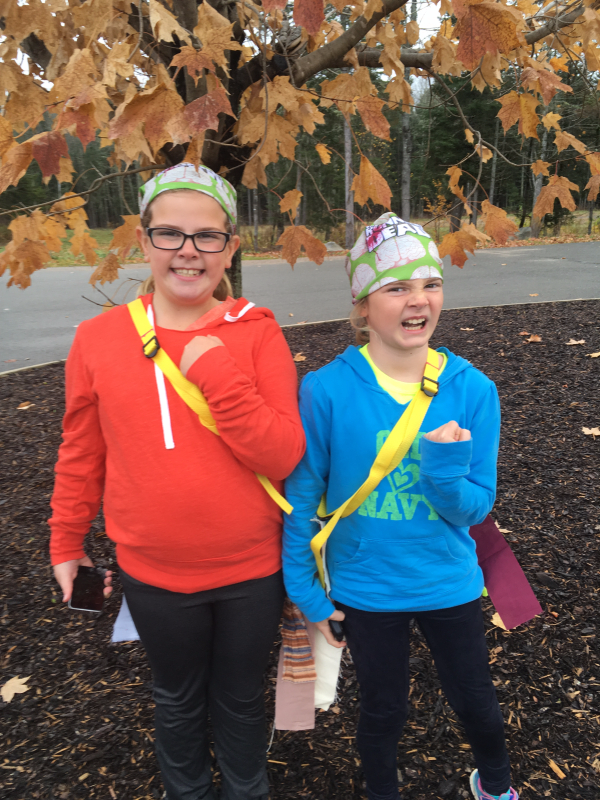 The girls ran for their lives on a 5k zombie Run in Fredericton called ‘The Running Dead”. They had a task of outrunning well dressed foes trying to grab their ribbons from their waist bands. Rebecca quickly made friends and took off running with them, leaving Abby and Sheena to face the zombies on their own. It was Abby’s 8th Birthday in October. She is growing up quick before our eyes. She has a smart new addition to herself with her new glasses. Rebecca always seems to find a stick and something to hang from it whenever they are out for walks. 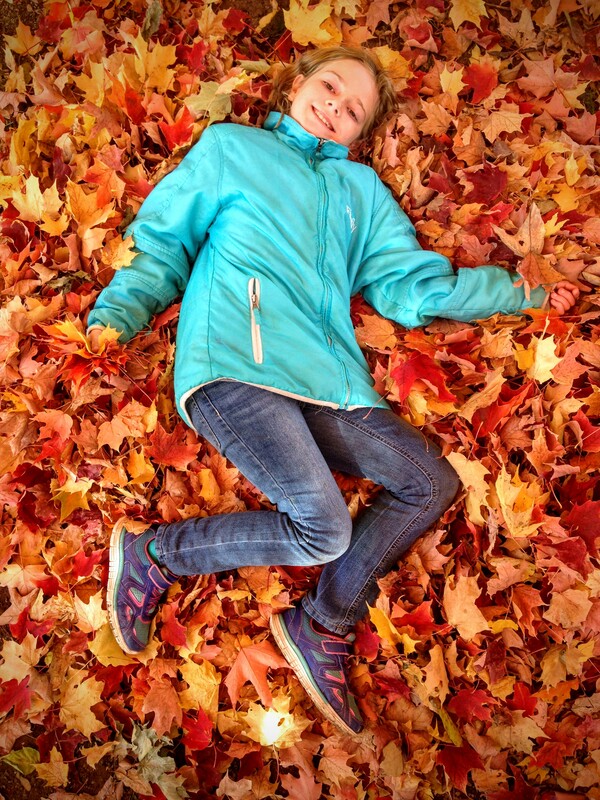 This time, they are headed for piles and piles of leaves! 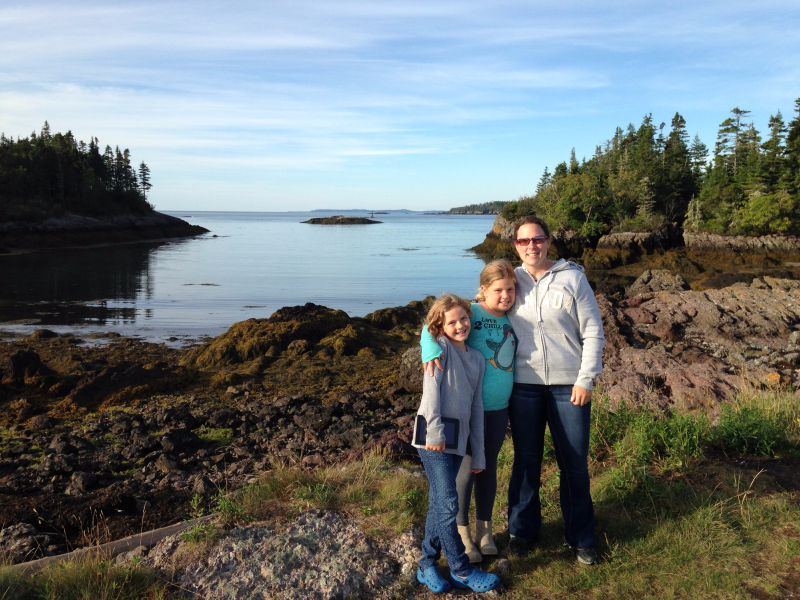 Our family has been looking forward to trip planned to Grand Manan Island, in the Bay of Fundy. Grand Manan lies south of the mainland, across from Maine. 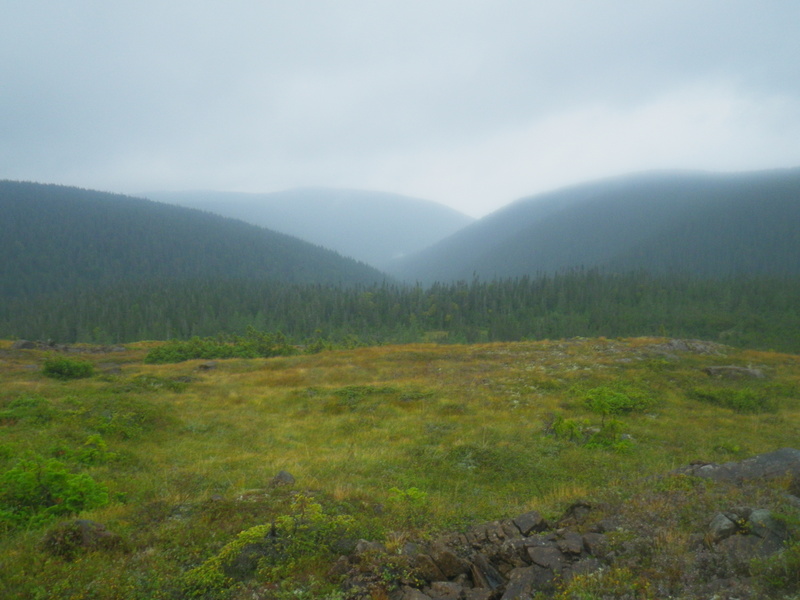 The island is part of a archipelago which was debated over sovereignty in the early 1800s-1900s. (One island south of Grand Manan, Machias Seal Island, is still contested between the US and Canada.) Also, it may be a presumptive statement, but it seems that Grand Manan is easily overlooked when talking about Southern New Brunswick. Interestingly, there are friends of ours who have lived in the Saint John area, but never been to Grand Manan — a short 30 minute drive and 1.5 hr ferry to the island. 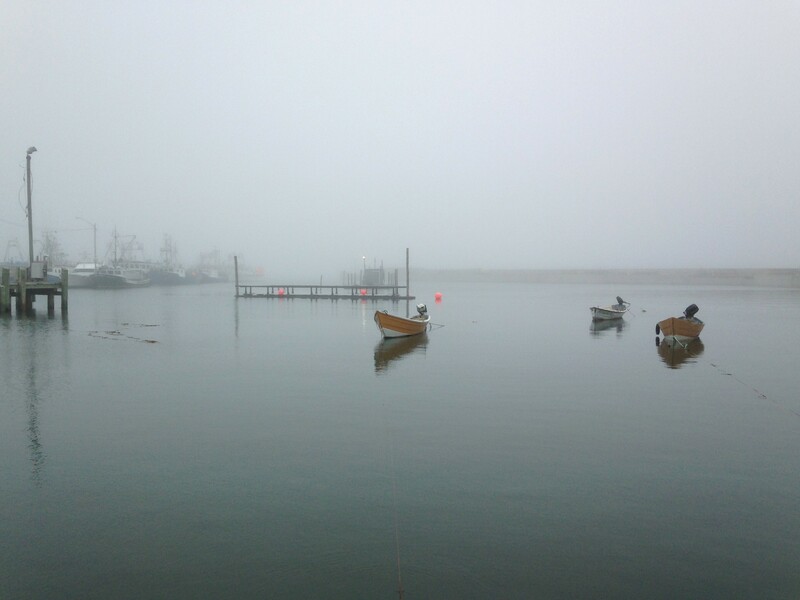 I had been to Grand Manan as a kid, but remembered little of the visit. 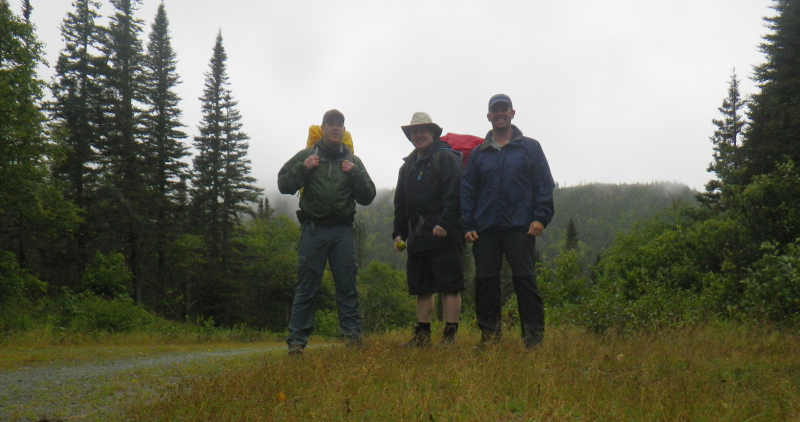 Although, based on what we saw after a three day camping trip there, we found it to be a little jewel of the Bay of Fundy with incredible scenery including 11 beaches, many lighthouses, bird life, and an island filled with a proud and friendly people with an easy going and welcome slower lifestyle. 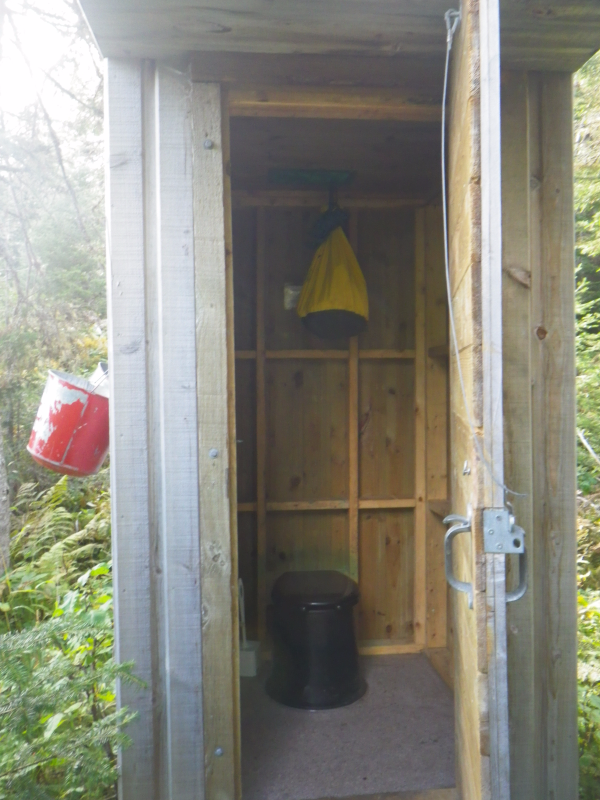 (We spoke to a few locals and heard there are older folks on Grand Manan that have never left the island!) 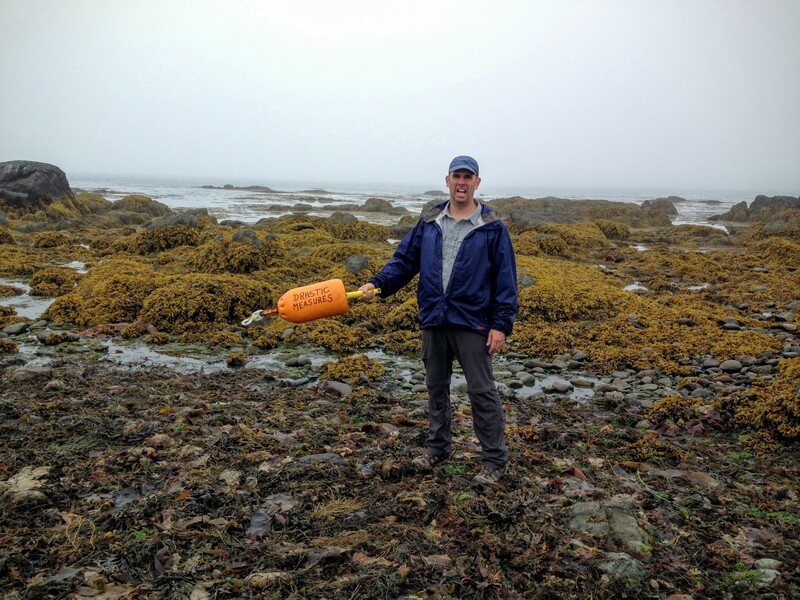 I'd encourage anyone to read a bit on the history of Grand Manan, which gives a feel for the type of place you're visiting. 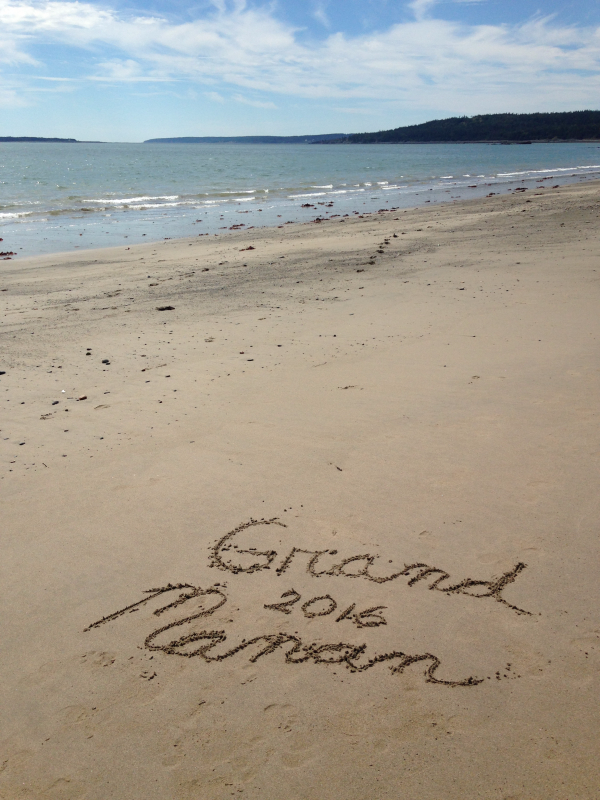 Many authors and artists have called Grand Manan home. If you visit, be sure to see the museum, which is well worth the entry fee. 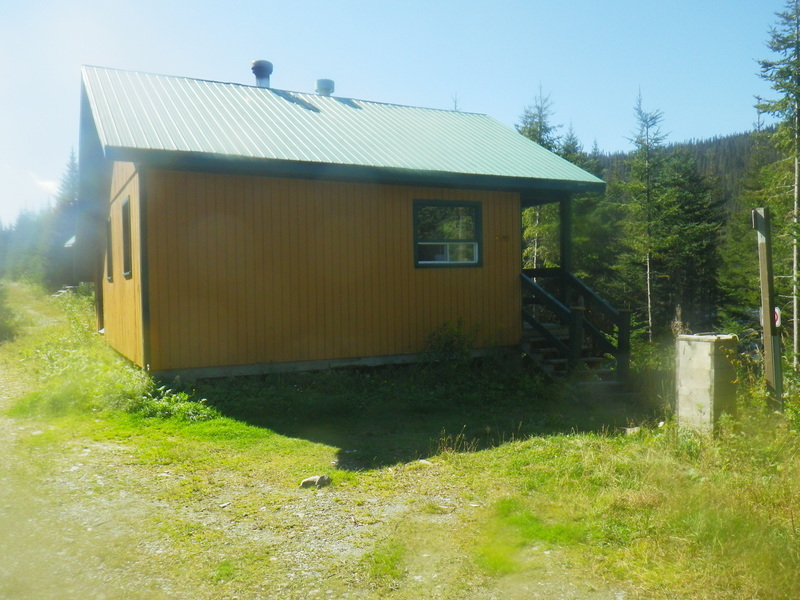 The first experience is the Ferry trip, leaving from Black's Harbour. 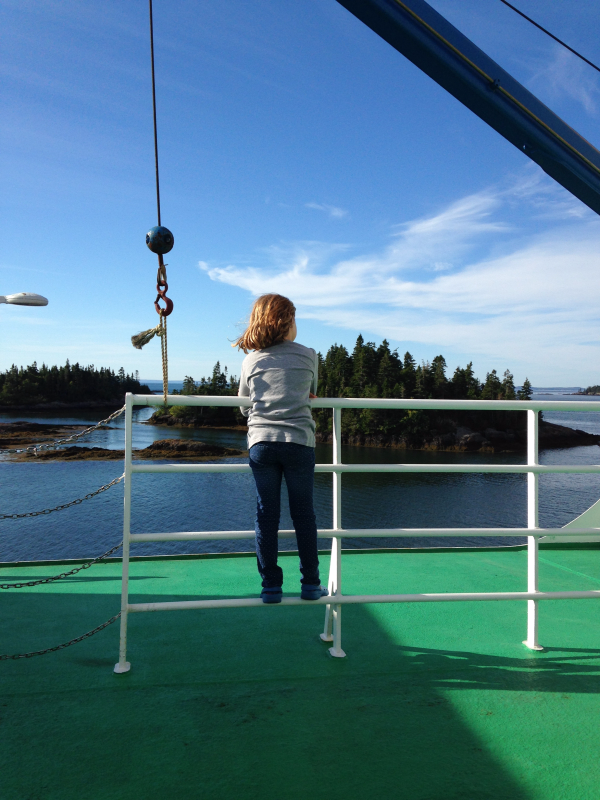 It was Rebecca and Abby's first trip on a car ferry and just that experience was worthwhile for them. 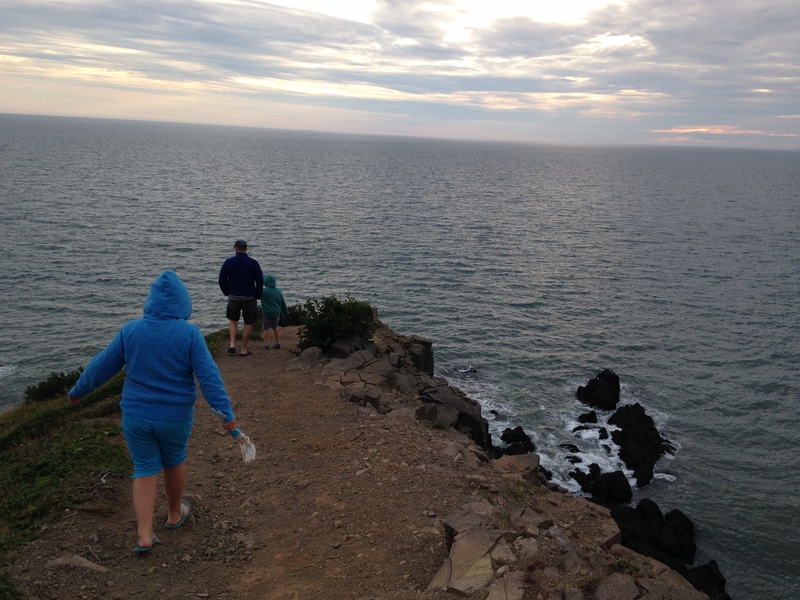 The added fun is watching all the sea life and islands along the hour and a half trip to North Head. Seeing whales for the first time was not lost on them at all — and it was fun watching their excitement. 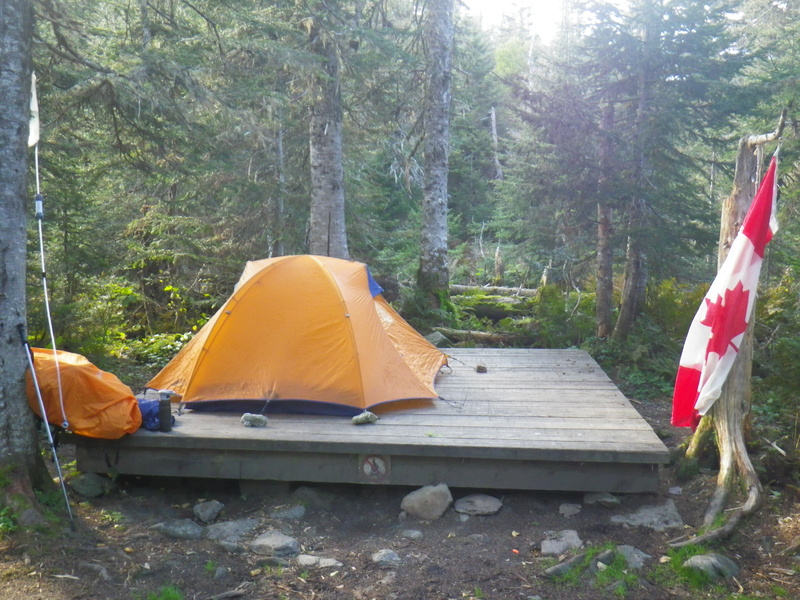 Arriving at Grand Manan, we went straight to our campsite — another first for everyone camping together. 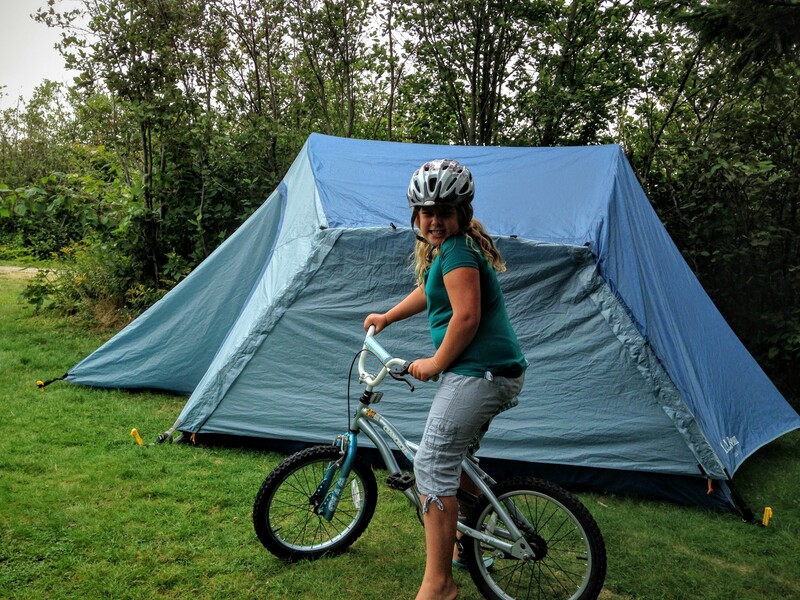 The girls were excited to set up their tents — and more importantly their bikes to zip around the campground and explore their surroundings. 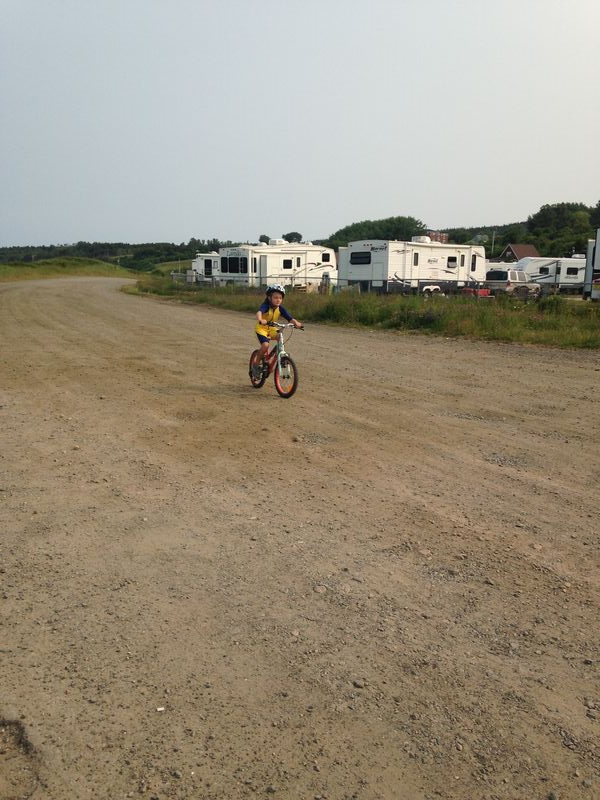 We spent most of the three days thinking to ourselves that we will always bring the kid's bikes on these types of trips as any down time was spent biking. It gave them lots of freedom and little deserved breaks for the parents as well. We headed straight for the beach next to the Anchorage Campground. The girls went straight to their beach play. After our supper, we left to see Grand Harbour beach and hunting for sea glass. 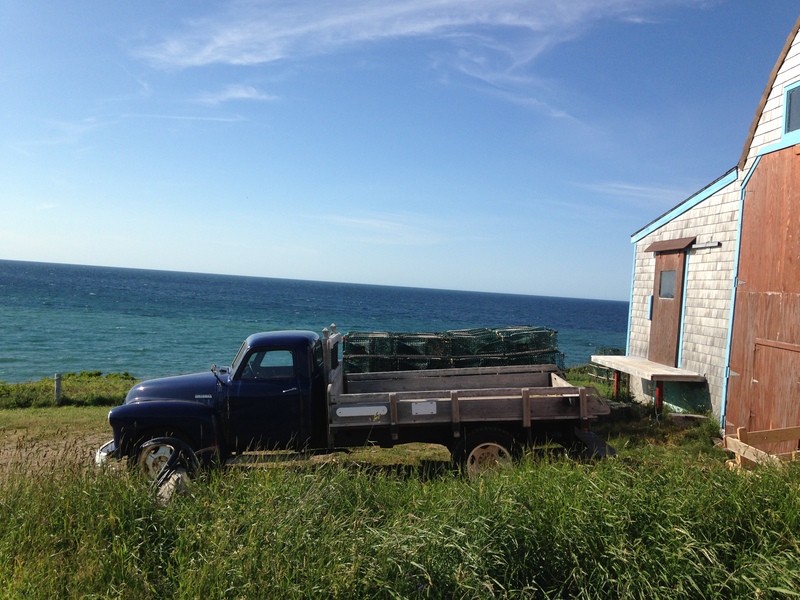 Picturesque fishing and bait shacks could be seen on the road to the beach. We also headed out to check out the Southwest Head lighthouse at the southern tip of the island. 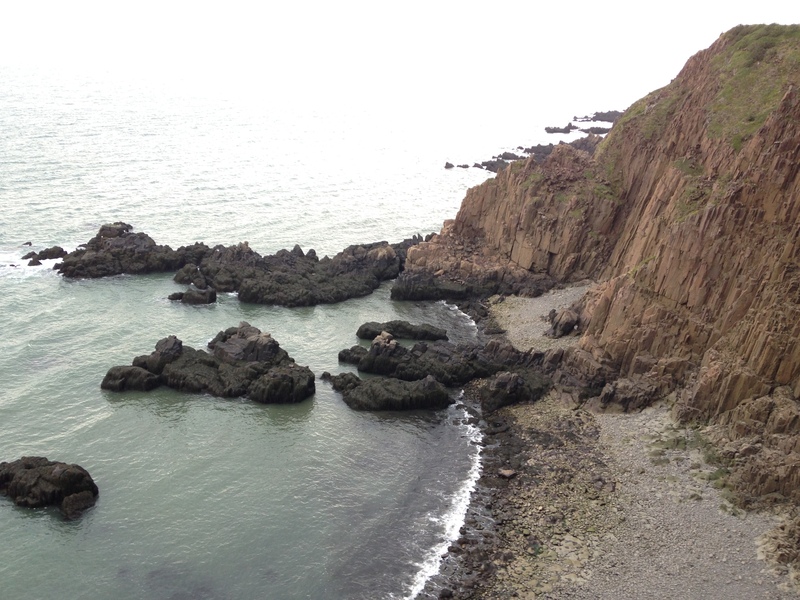 There are some distinctive rock formations off the coast here, which is also the starting point for the 3 day backpacking trip that can be done on the western coast of Grand Manan. 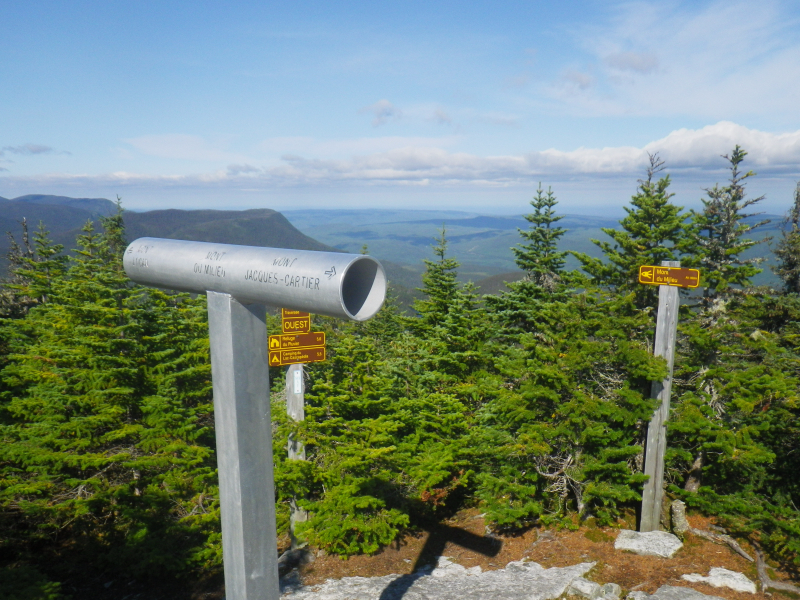 From the cliffs, it was easy to see the US and the Atlantic Ocean. Machias Seal Island was also visible. 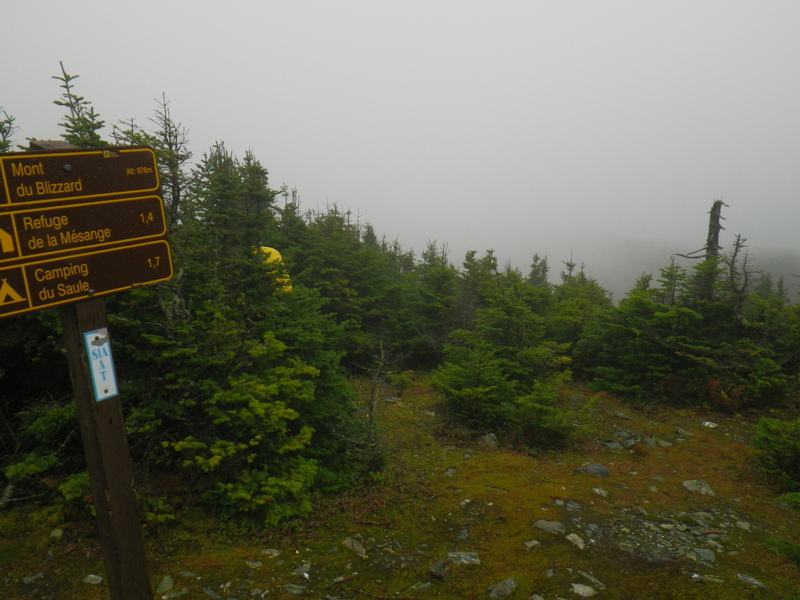 Walking on the trails really felt like you might walk off the end of the earth! 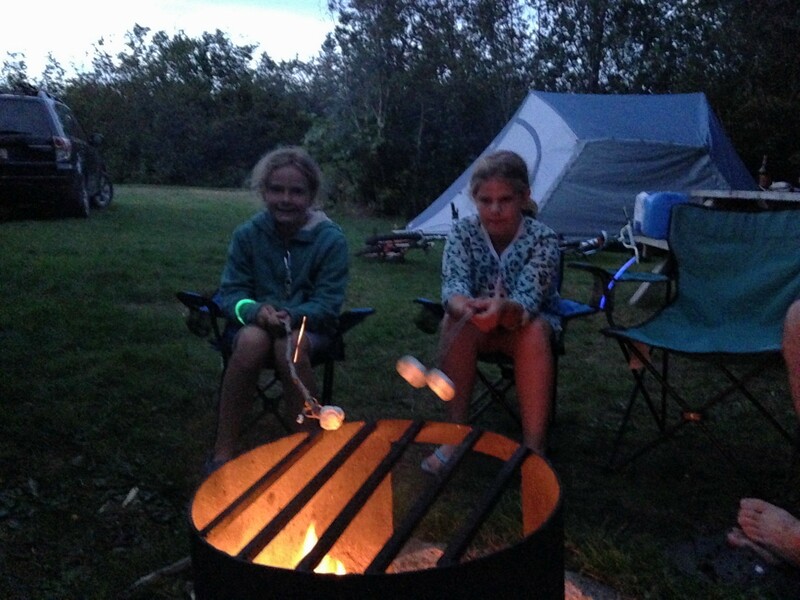 The highlight of the evenings were the camp fires and evening biking at dusk. The girls could be heard laughing from the nearby playground with their glow stick bracelets. 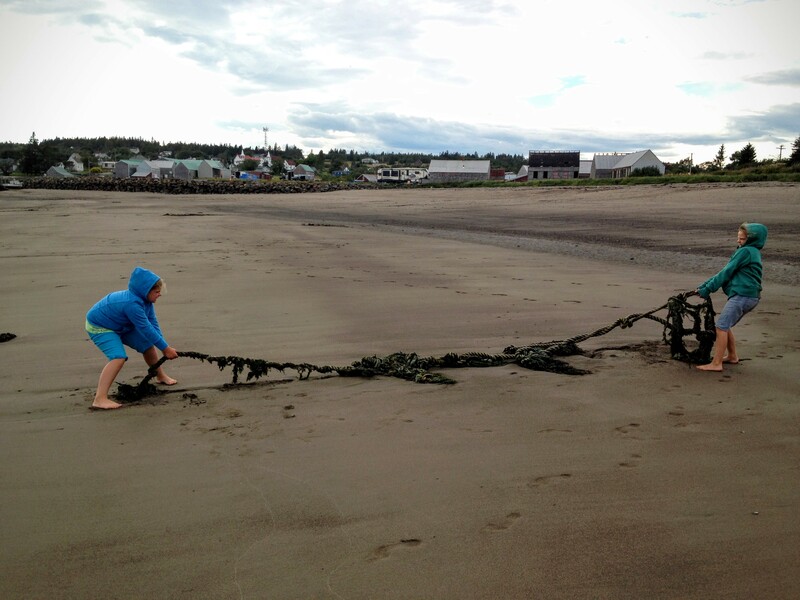 We tried to spend as much time at the shore, even while waiting as there's shorelines all over on Grand Manan. (The photo above was behind a fish plant in Grand Harbour). 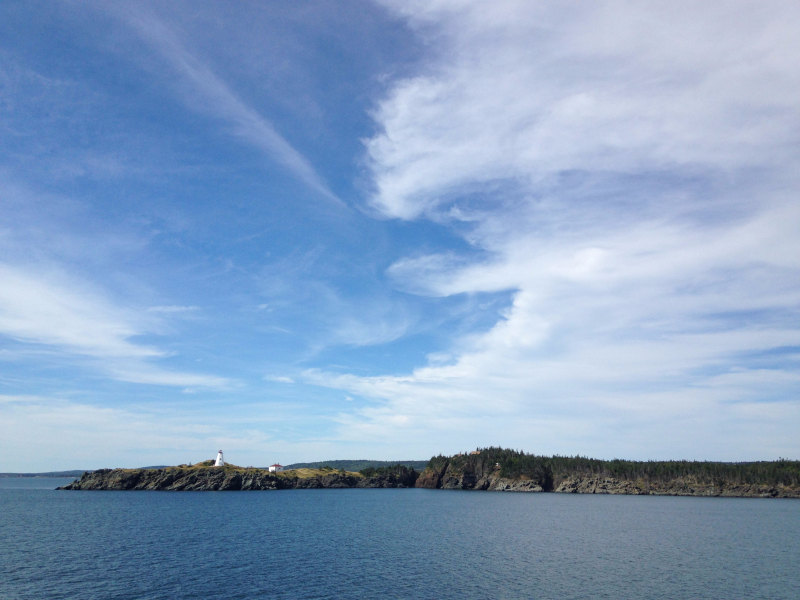 The following day, we visited White Head Island — another inhabited island a 30 minute ferry ride from Grand Manan. The smaller island of White Head island has three beaches and lighthouses. 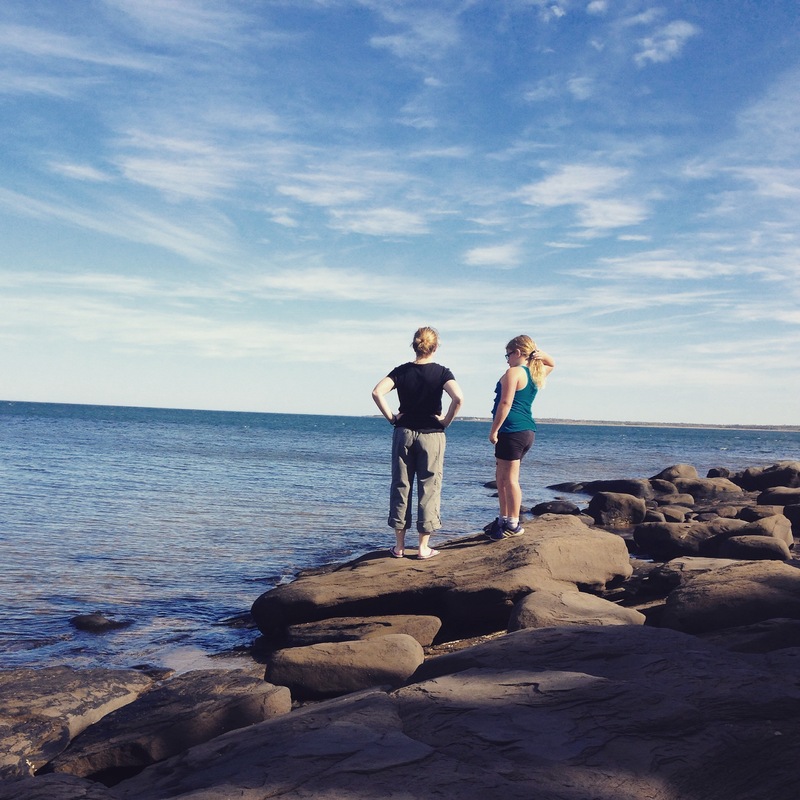 This time, we visited Long Point lighthouse and the Sandy Cove area. 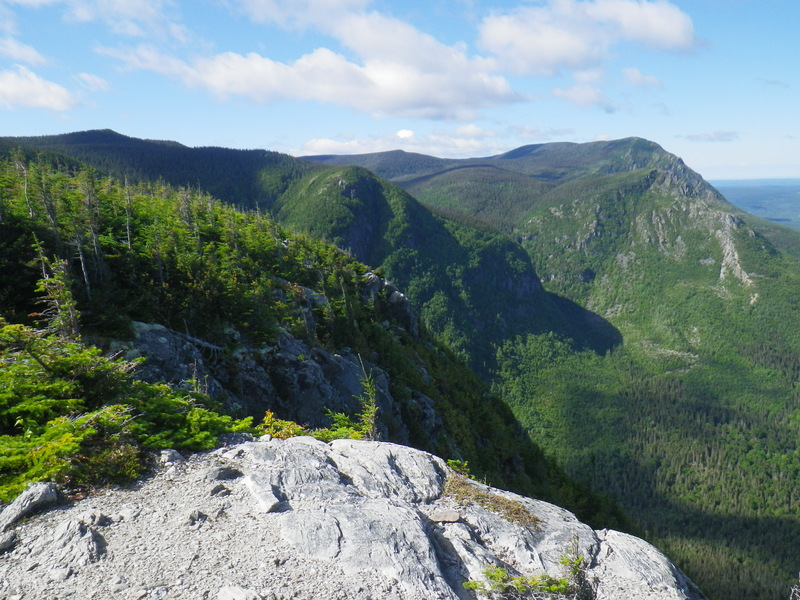 To get the feel for it, imagine walking off into a sea of fog and following a gravel beach road switching from stone beaches to brown sandy beaches, with little or noone around. We found these scenic boats by the ferry to White Head island at Ingalls Head. The grassy section of road leading to the sentinel lighthouse at Long Point. This was the grassiest area we could find! Looking back at the coastline from Long Point Lighthouse. Long since abandoned, the lighthouse rocks are full of sea birds, who's song was loud and clear. 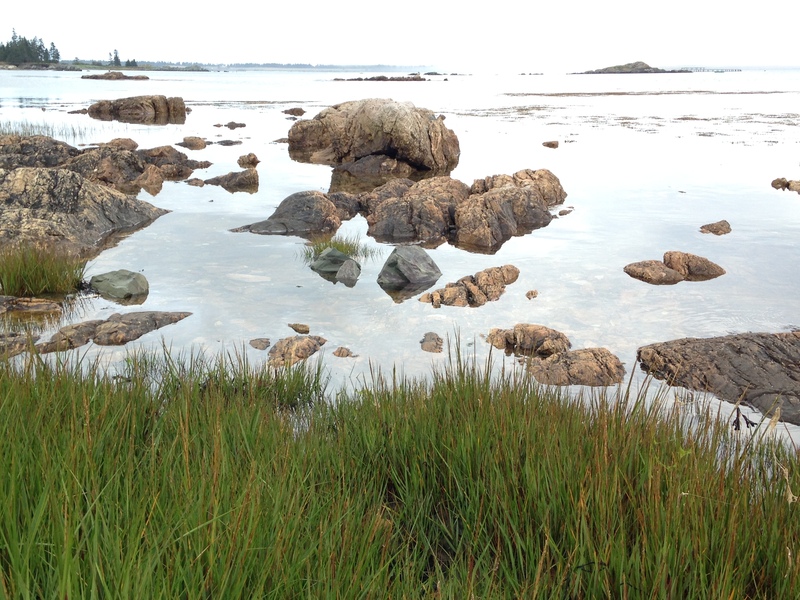 We spent the better part of a day exploring White Head Island and the shoreline. A remote but beautiful spot — a beachcombers dream with all the flotsam and jetsam washing ashore. Our last day, we packed up early and spent our time in the North Head area, visiting Stanley's Beach, Whistle Point and the Swallow Tail lighthouse. 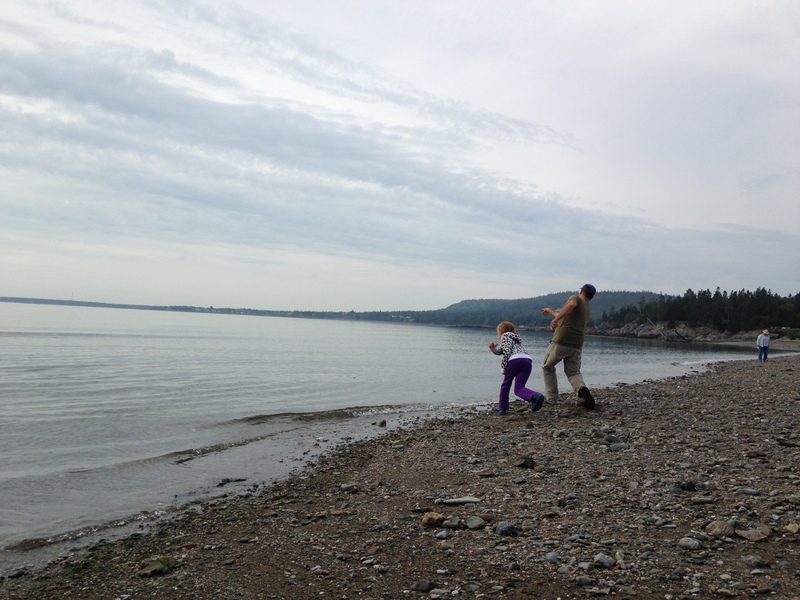 Rebecca was wanting to take part in a rock skipping competition on Stanley's Beach, while taking a break from sea glass hunting. Both girls gave up some of their seaglass to other pickers, striking up conversations with people from the US and other parts of Canada. 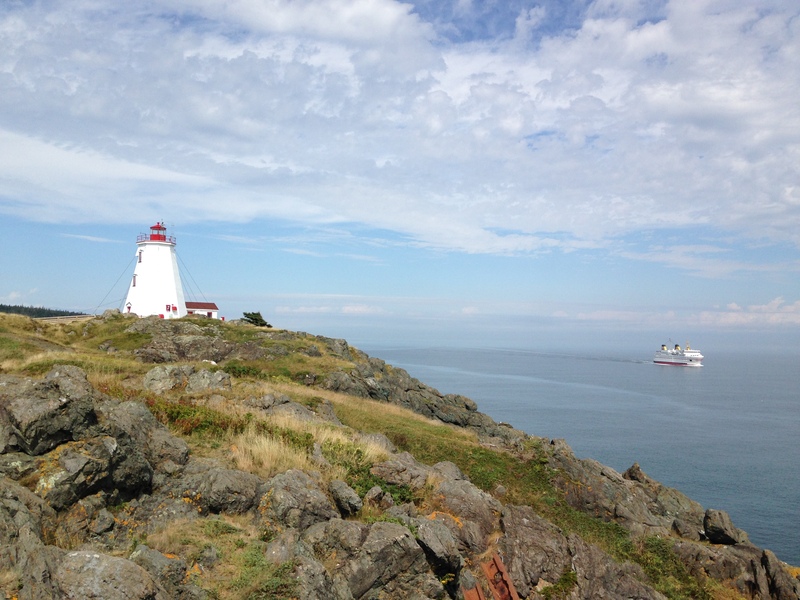 The Swallowtail lighthouse is an iconic spot, likely photographed by most visitors to Grand Manan. 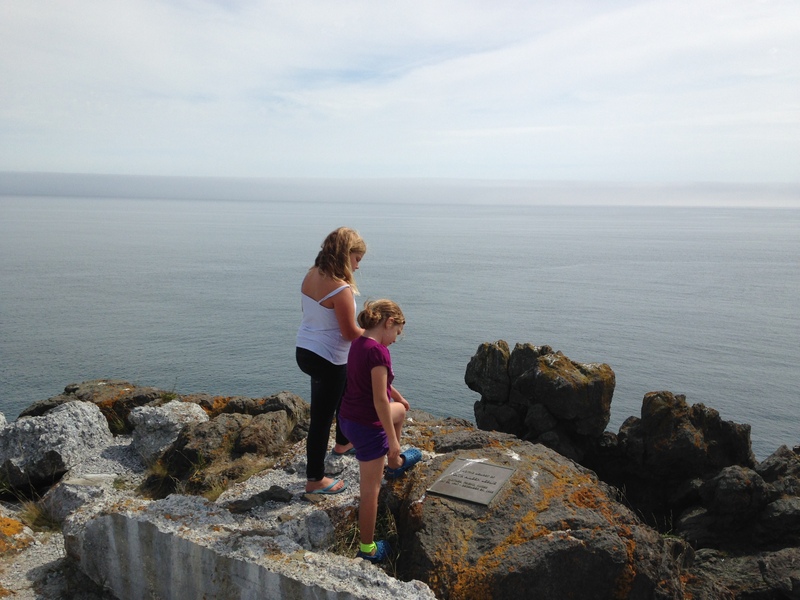 A short hike to the lighthouse and the high rocks surrounding it allows a perfect view of the ocean and to do some whale watching if lucky. One guaranteed sight is the ferries going by to land at North Head. 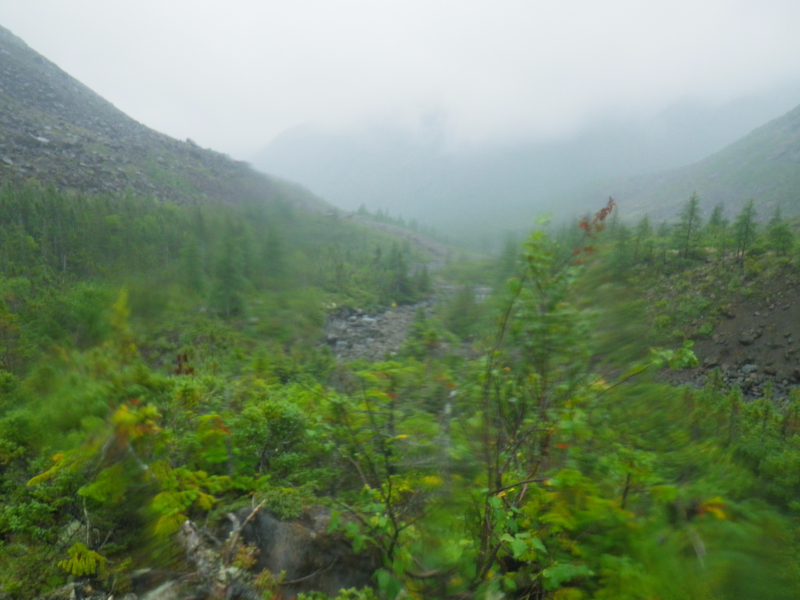 The weather was perfect for our trip — we certainly lucked out while we were there. 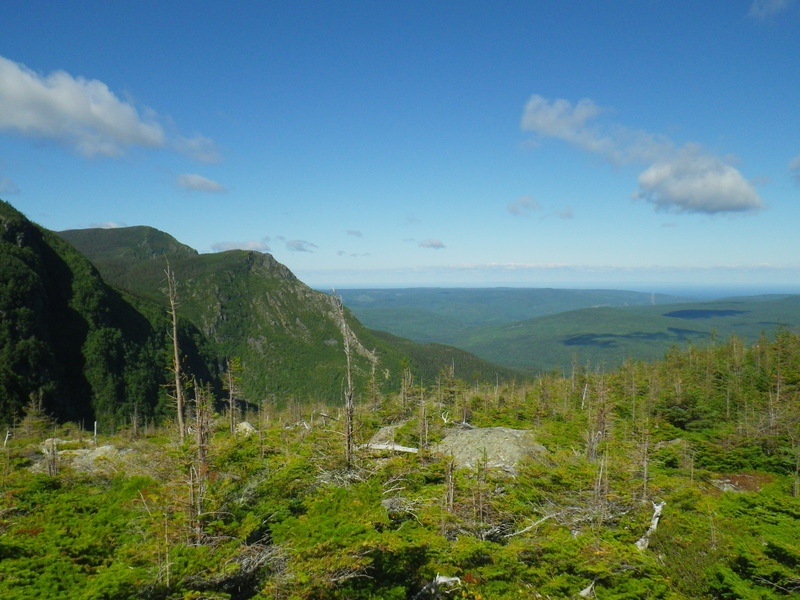 There was so much to do and too little time, making it necessary for another summer return trip. 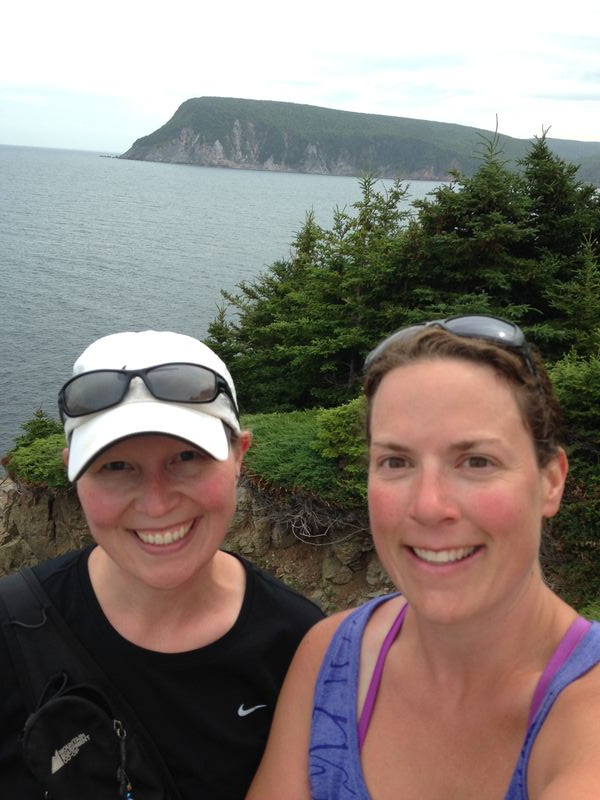 Halifax Trip: Bluenose Run, Friendly Meetings and a Birthday! 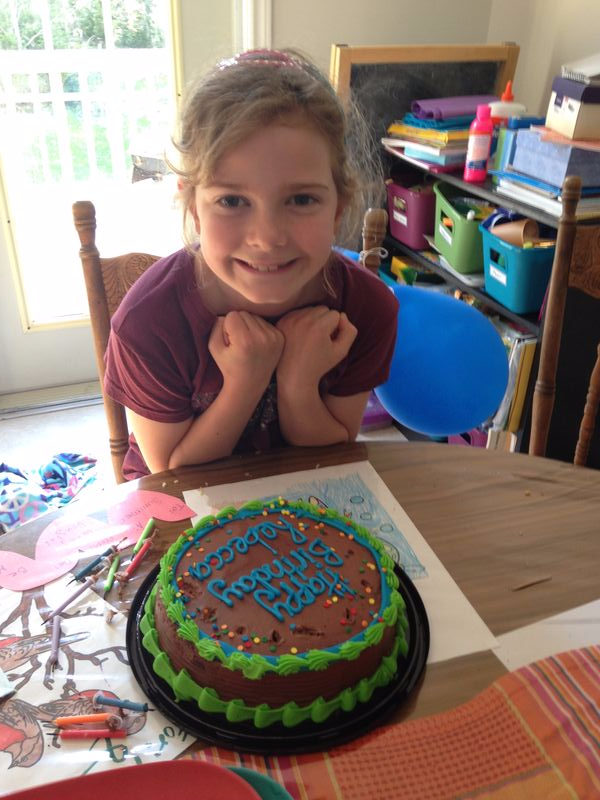 Happy 9th Birthday to Rebecca! 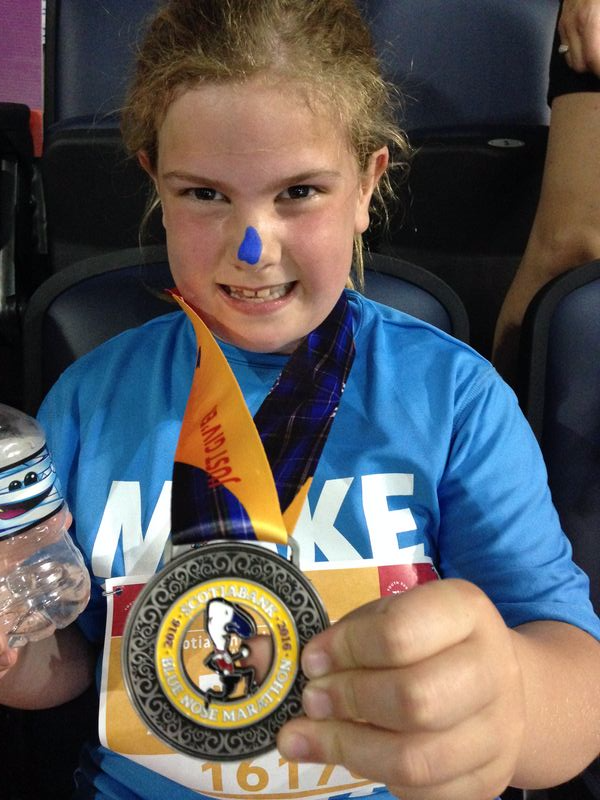 She was excited for this weekend for some time as she knew that she would get to visit with her cousins and run in the Bluenose Run along with her sister — in Halifax! Rebecca requested a homemade 'chicken fried rice' supper and was happy to have a 'somewhat' surprise cake with her cousins. She was grateful for the gifts received over the past few days as well and wanted to send a thank you to all! Our first evening was spent enjoying company and catching up with family. 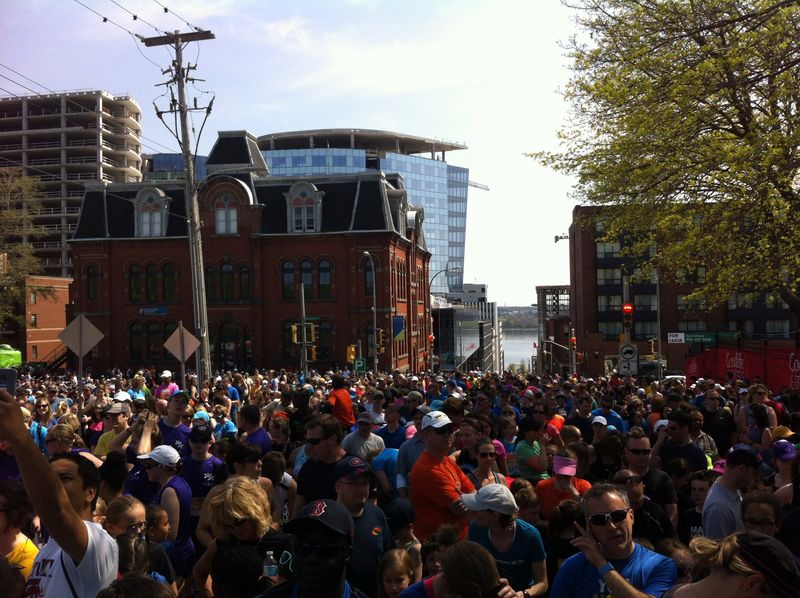 A large part of the experience of the Bluenose Run is enjoying it with thousands of others who also attended the race. For the kids races, they have it set up as a closed course — so the kids run with other kids sans parents (in some cases) and have a big finish at the Metro Centre. There they meet back with parents among a large crowd of other kids also meeting their parents. Needless to say, the organizers recommend finding your meeting spot in the Metro Centre prior to the race and going over the race plan with your kids at the same time. 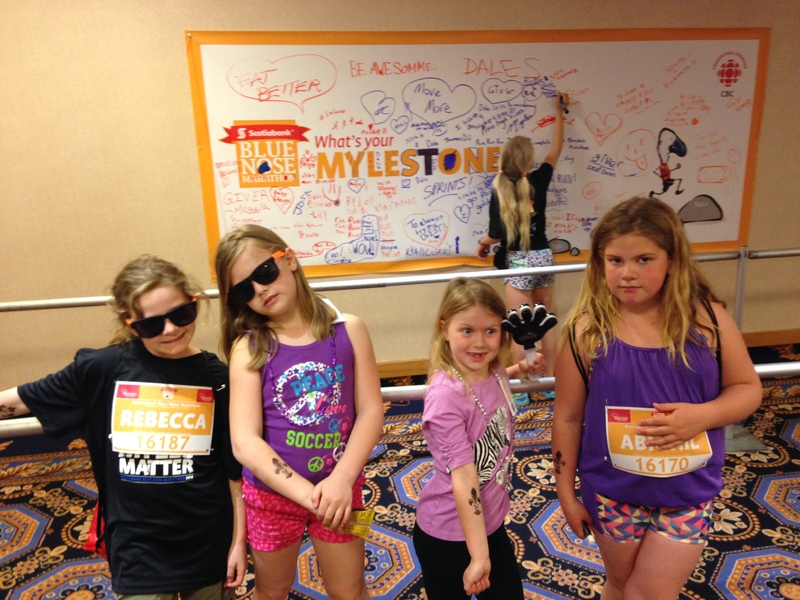 We were told that this year a record number of people attended the kids races, with 4000+ running at the same time. We laughed, because 4000+ could easily be 6000+ with parents in the mix. Here's an example of the starting area prior to the kids run. 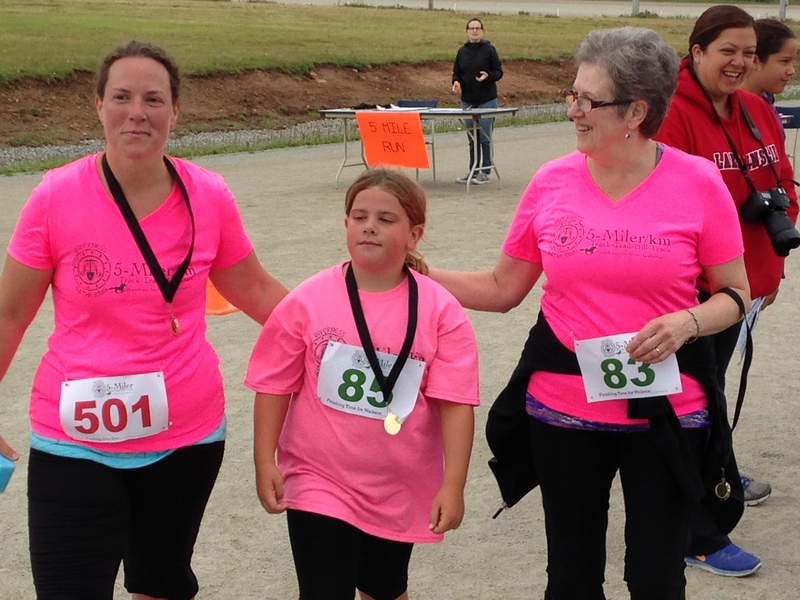 Abby started first and ran around the Halifax Citadel for her 2K run. Sheena met her at the finish line and had to try and get Abby's attention several times as she was running with such a determined and business like expression! 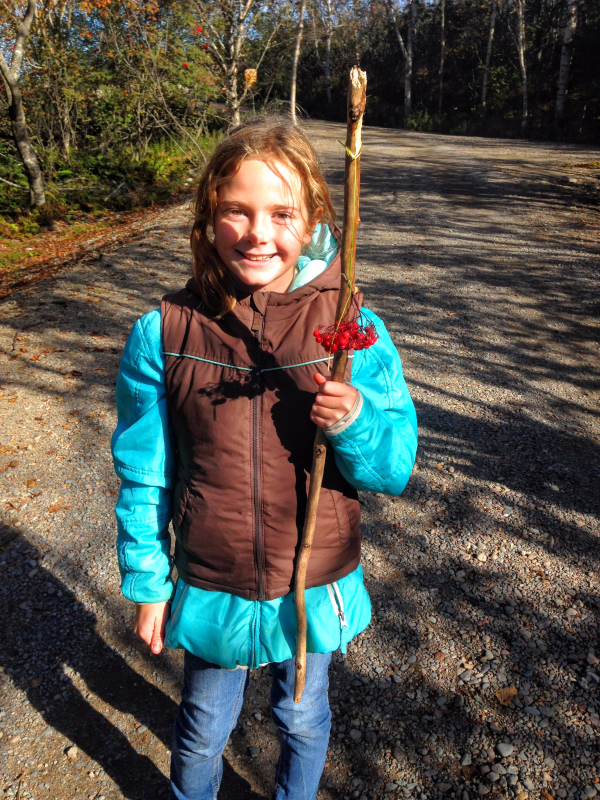 Abby was proud of her accomplishment and her coveted blue nose. 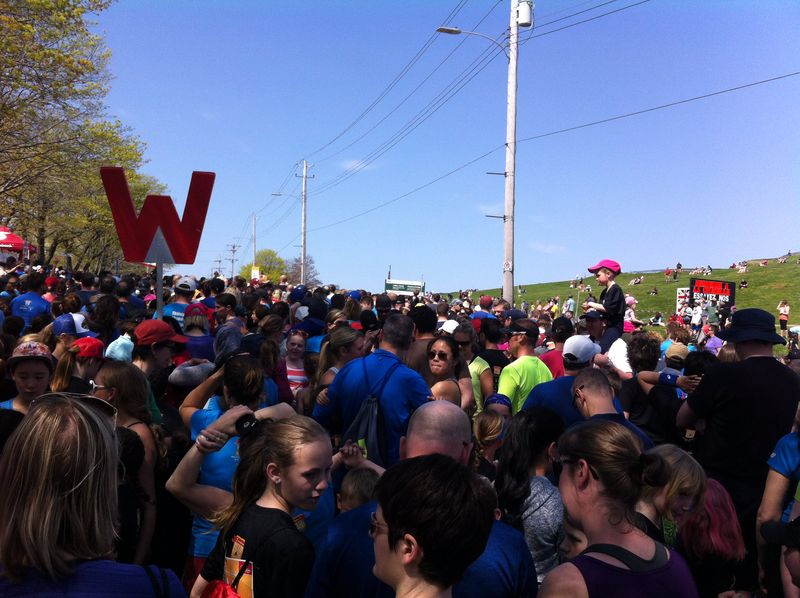 Rebecca ran her 4K run around the Citadel and the Halifax Commons route. I tried to see her at the finish line, but there were so many people finishing that I obviously missed her at the line, seeing that she turned up at the meeting spot and Sheena found her first! She was also very happy about completing the race. It was one of their first races alone in such a large crowd. After a celebratory dinner and a well needed rest at home, I enjoyed a 'quiet' evening with Kris and Jean-Paul for a couple of board games. The following day, we had plans to meet with friends for most of the day. One of the visits was with Matthew, Melissa and meet their 7 month old Millie. 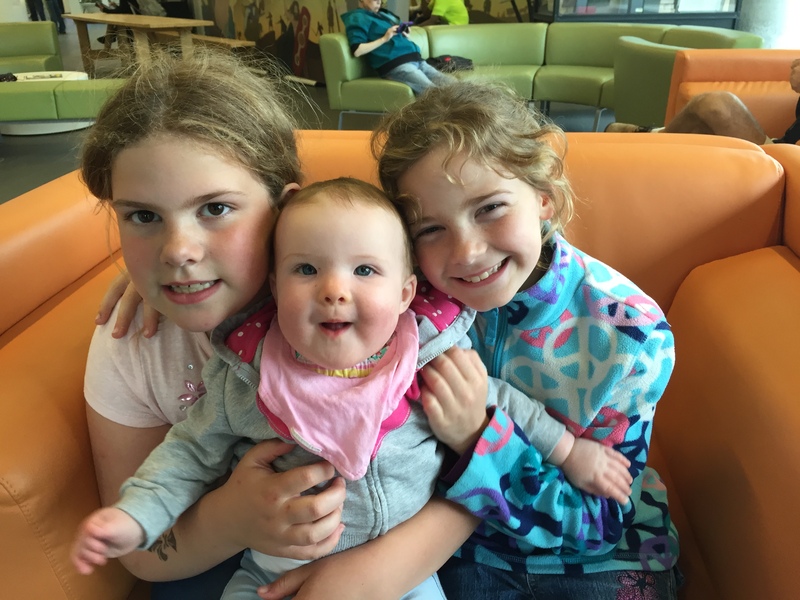 We met them at the new Halifax Central library and had our introductions before heading off for a walk to get lunch and a stroll through the Public Gardens. The girls really took to Millie and Millie was a delight to see laugh and smile at the attention. 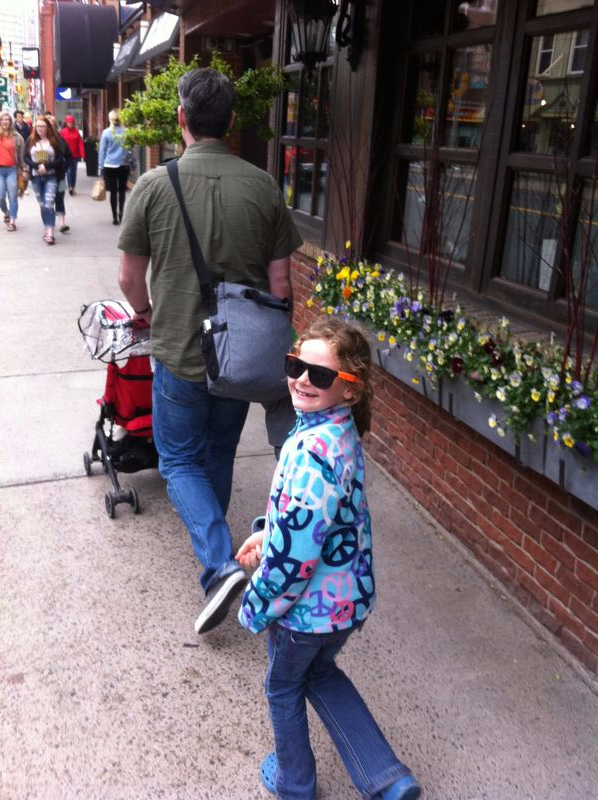 Here's Rebecca following Matt down Spring Garden Road. Here's a continuation of our summer photos! (See the first post here.) Above we see Rebecca playing with some of the chickens that Grampa sells at the store. 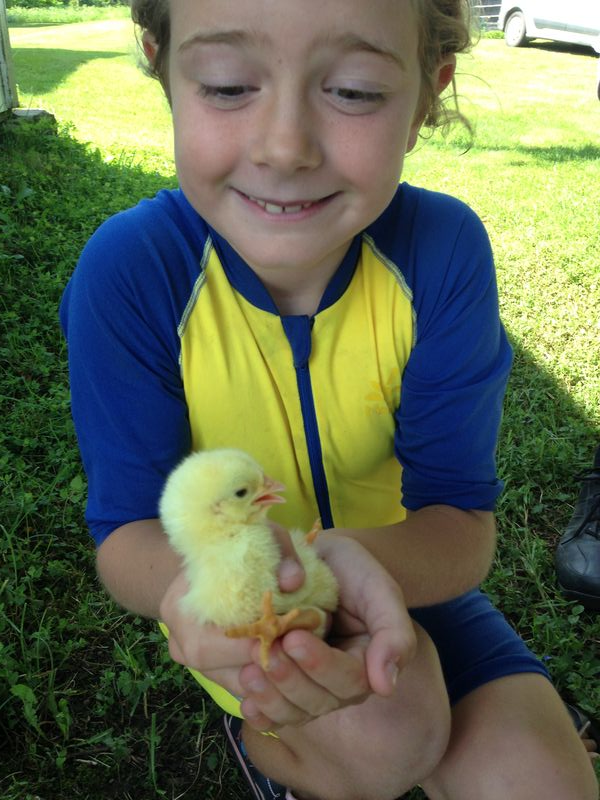 He receives orders and a couple times a year distributes baby chicks for growing! Naturally, the girls love them. Sporting the boogie board! 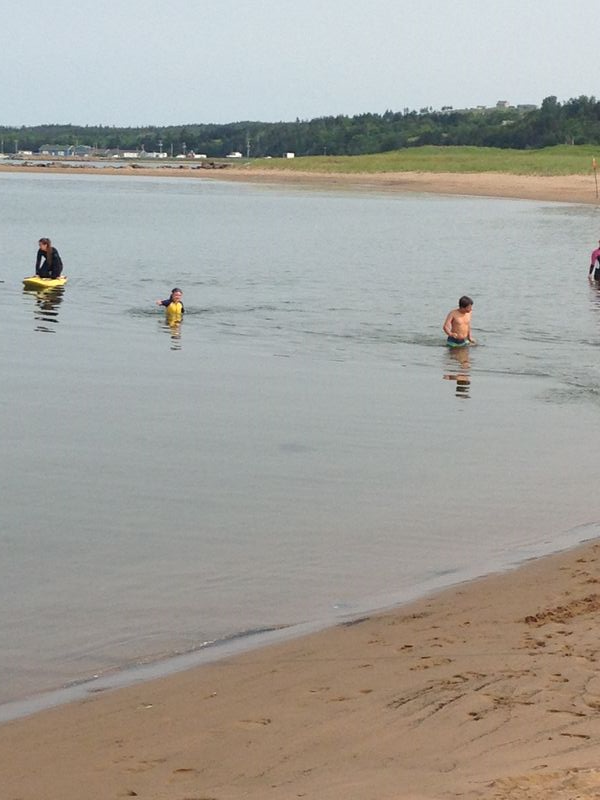 They loved heading out into the water in the waves of Inverness Beach. 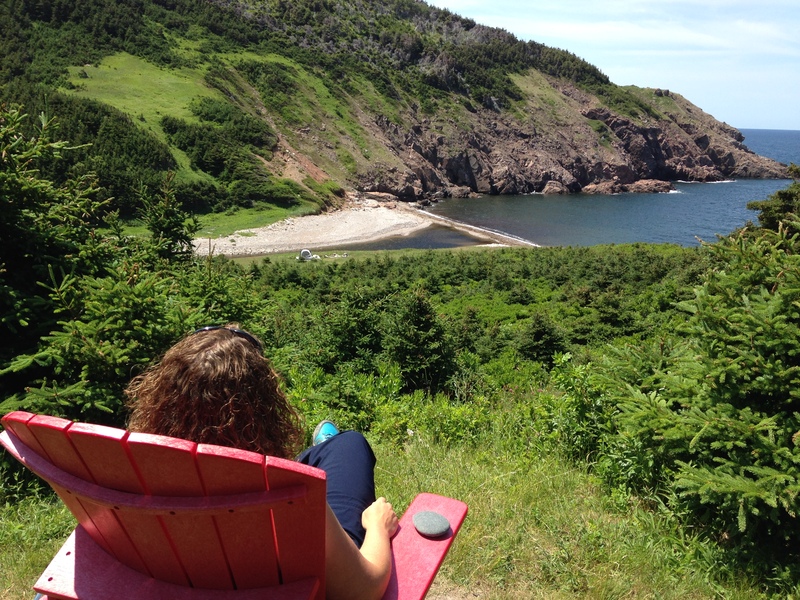 Below you see Sheena relaxing at one of the scenic points on the Cabot Trail, Cape Breton Highlands National Park. 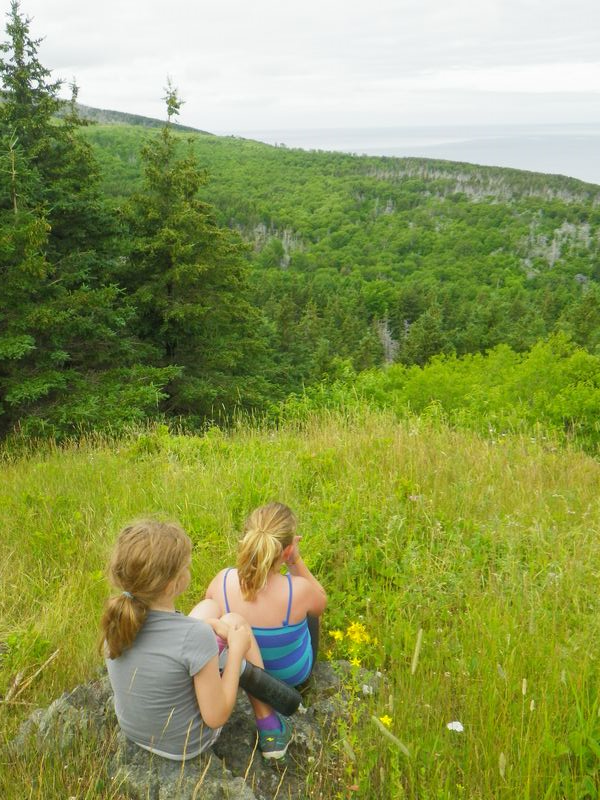 Her and her cousin Karen took a camping trip and explored the areas of northern Cape Breton. 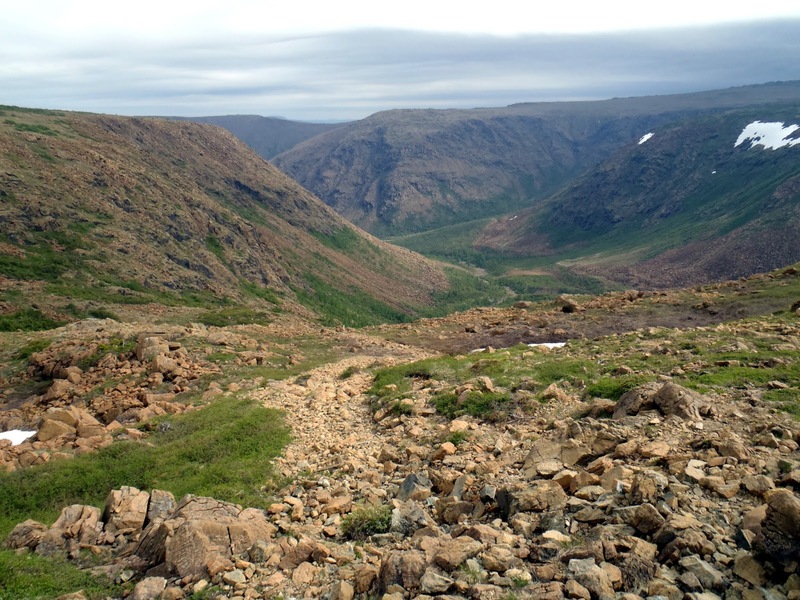 One of their hikes was to Fishing Cove, a popular destination for backpackers as well. 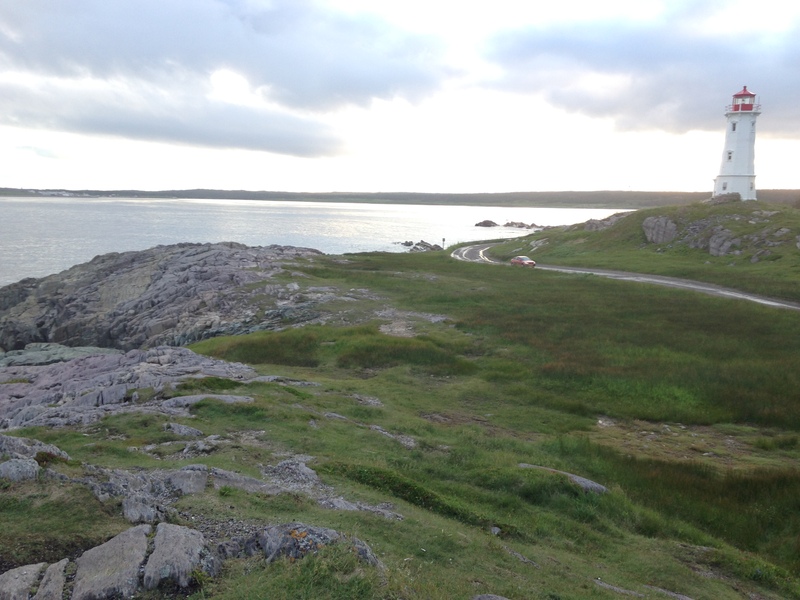 Sheena took this photo of the view from Jumping Mouse Campground, near Bay St. Lawrence and north of Cape North. 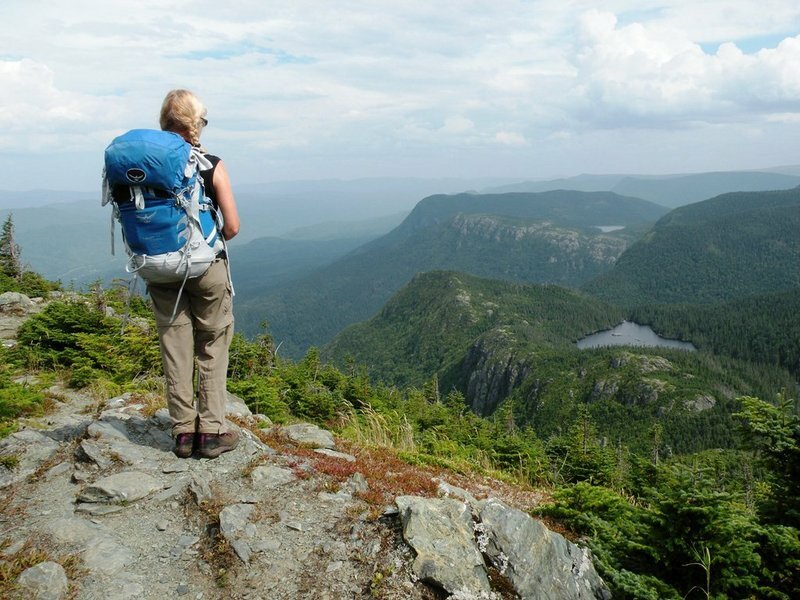 Both her and Karen highly recommended this spot for camping outside the national park. 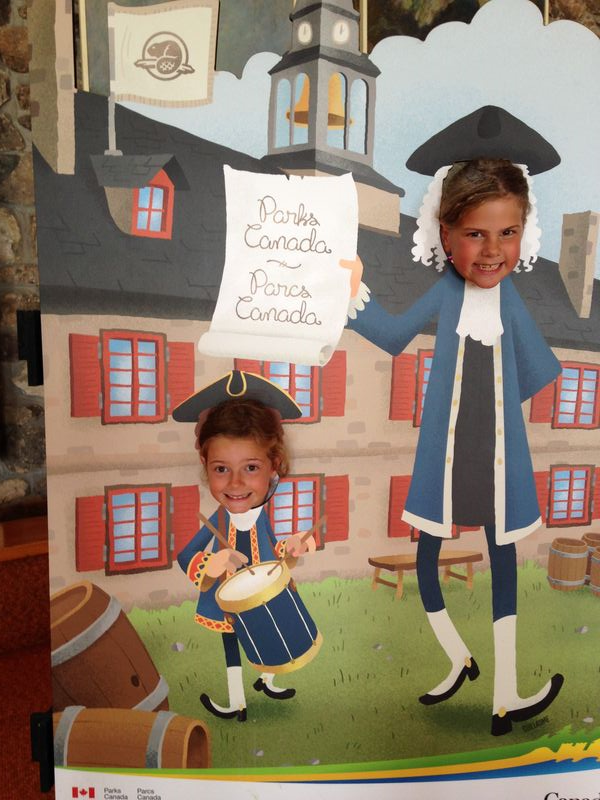 On one of the cooler wet days in Brook Village (where we couldn't go to the beach), we took the girls to the Louisbourg National Historic site in eastern Cape Breton. 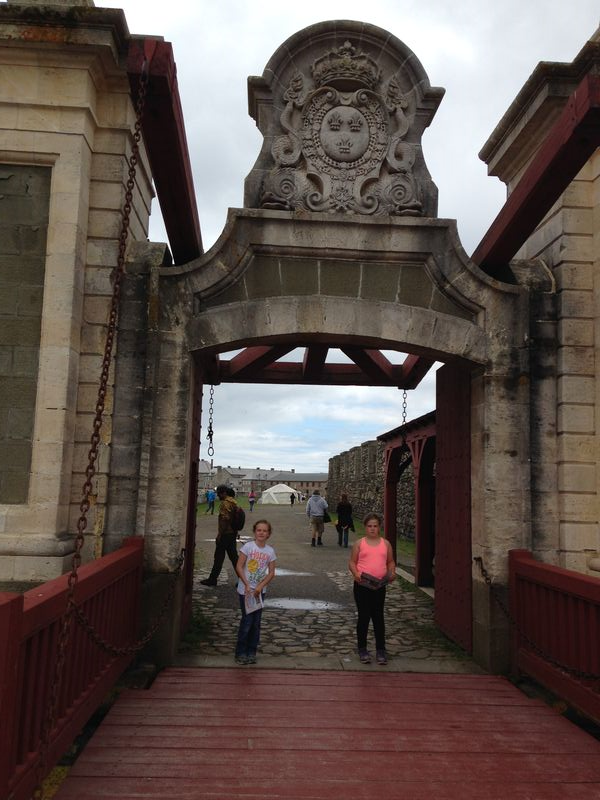 Fortress Louisbourg is a restoration of an 18th century French fortification. There are actors that portray roles in costume and really make it interesting for those visiting. Here's the entrance to the Fortress. Shortly before passing this gate, we were interrogated by the guard to make sure we weren't English subjects acting as spies or smuggling weapons. 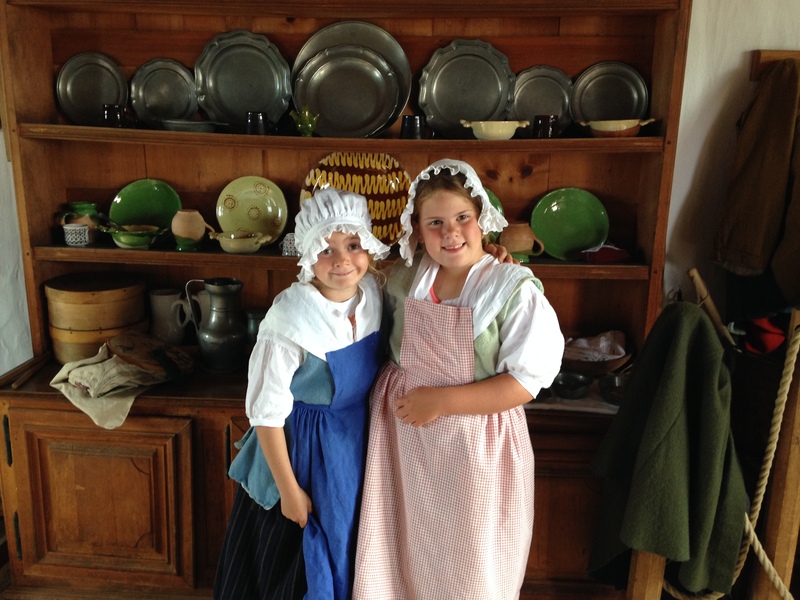 The girls even had a chance to dress up in period costume. This particular house was for a lord, where servants kept up with the house work and cooking. It was neat to see how many layers of clothes they had to put on. 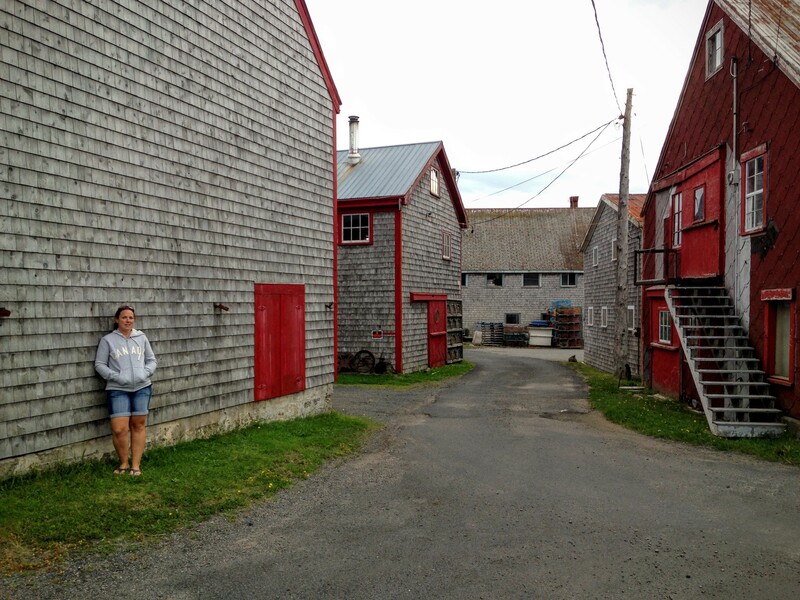 Clothes had to be warm in the 18th century with the wind and storms of the Louisbourg area! 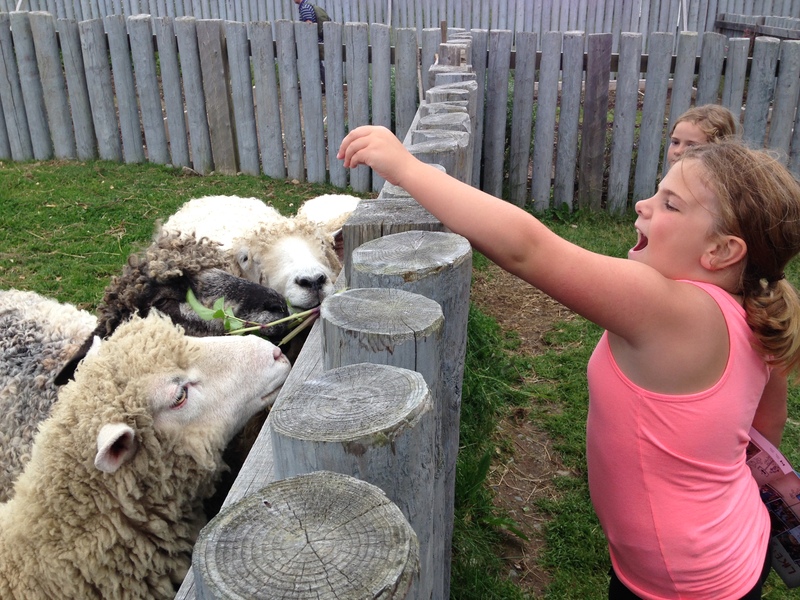 Louisbourg residents even had animals that they had to tend to, including sheep. One of the residents let us feed the sheep some tasty weeds from a garden nearby. 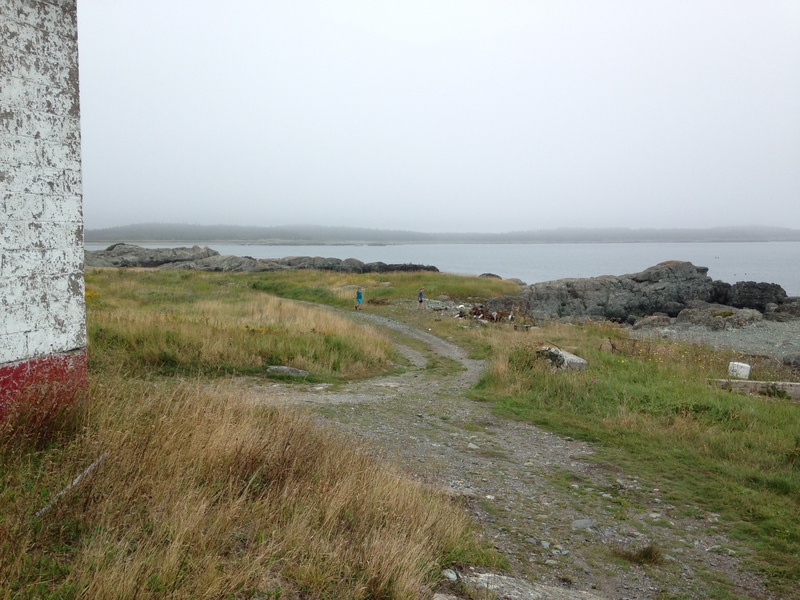 It appeared that most visitors to Louisbourg visit the fortress itself, but what we found was there were beaches that were also part of the historic site. These seemed little visited and were absolutely beautiful. We walked the soft sand and explored for a while. 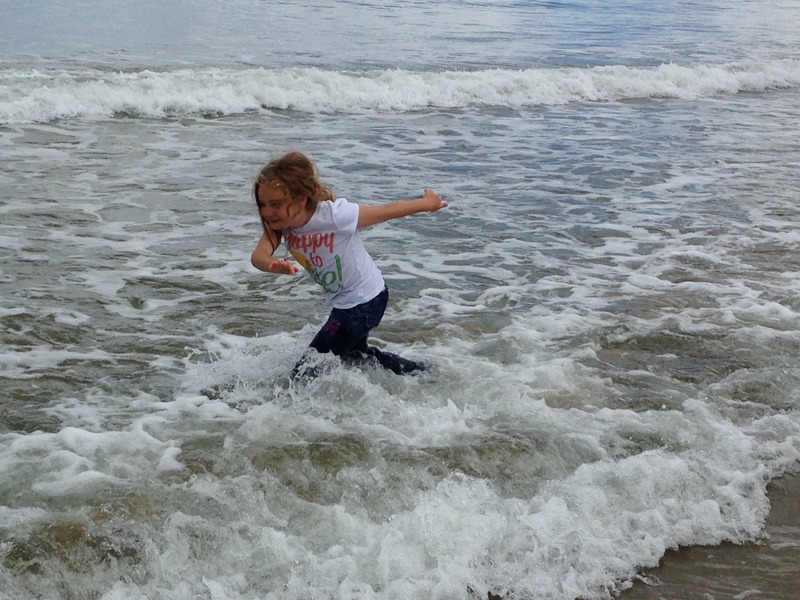 Rebecca didn't seem to mind the frigid Atlantic water. 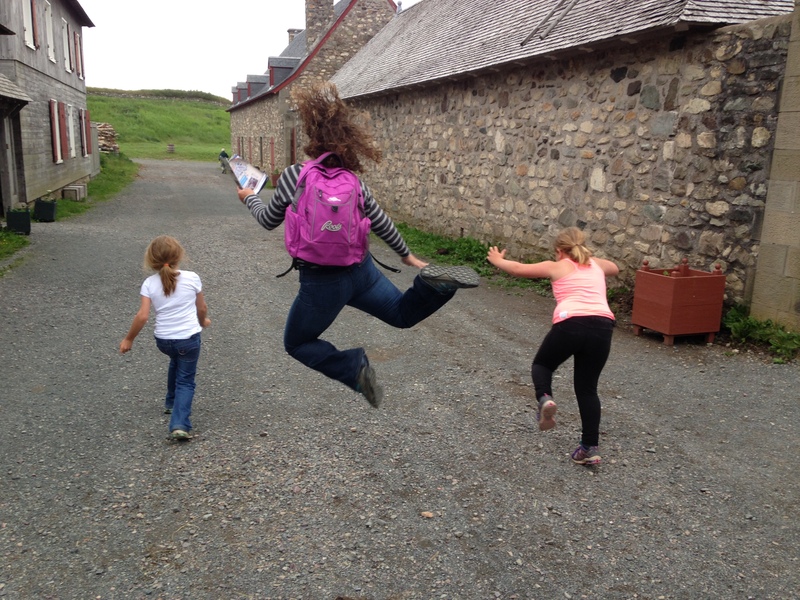 A fun day exploring the fortress requires a jump for joy! 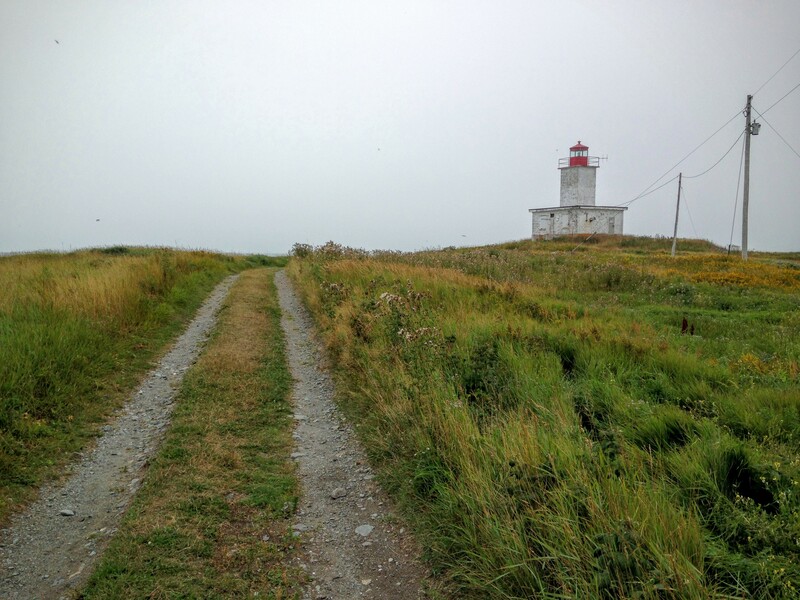 We decided to spend more time in Louisbourg and explore a lighthouse at another part of the historic site on the other side of the harbour. The lighthouse is built on the site of the oldest lighthouse in Canada. It was mesmerizing watching the power of the ocean hitting the rocks all around the coast. We also had near perfect evening light for our photos. Here is the Louisbourg Harbour lighthouse. This view is looking toward the fortress. 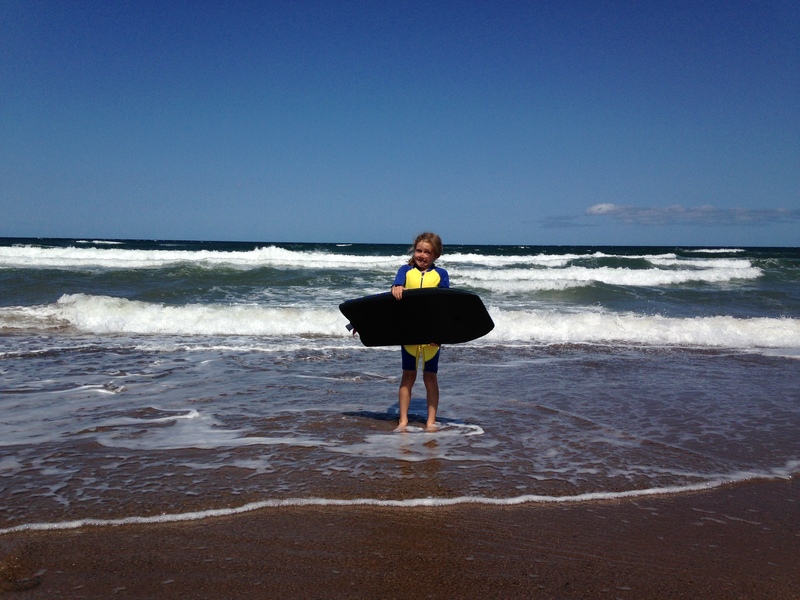 Another sunny day and we're back in Inverness Beach for boogie boarding in the waves. 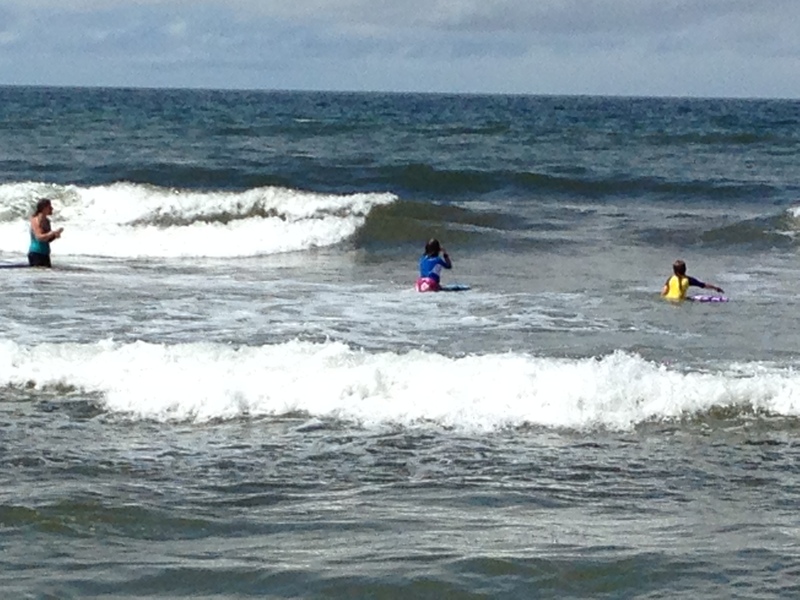 These girls spent nearly an hour and a half braving the cold water and riding the waves. Below you see the girls lined up for another fun run in Inverness, during the Inverness Gathering Festival. This was quite the accomplishment for them. 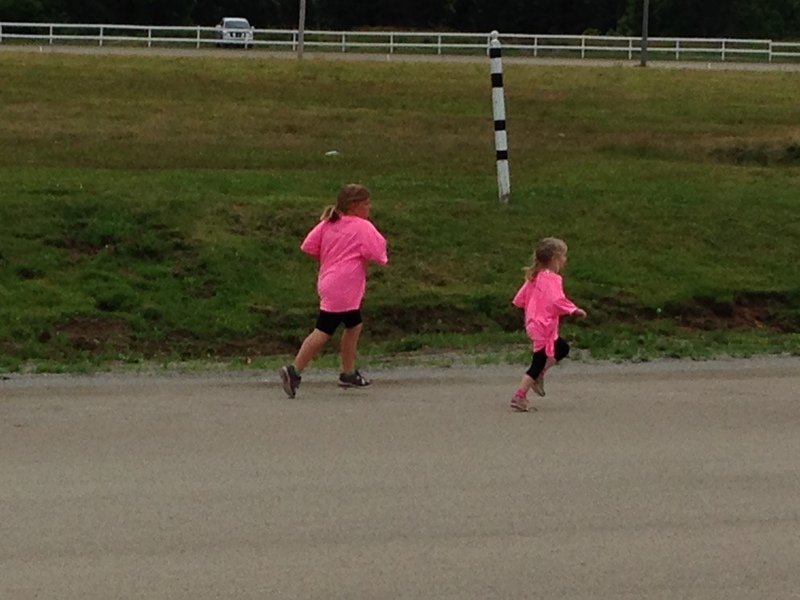 Both girls ran in a 1.5 k fun run, then ran and walked the 5 kilometre race following the fun run. 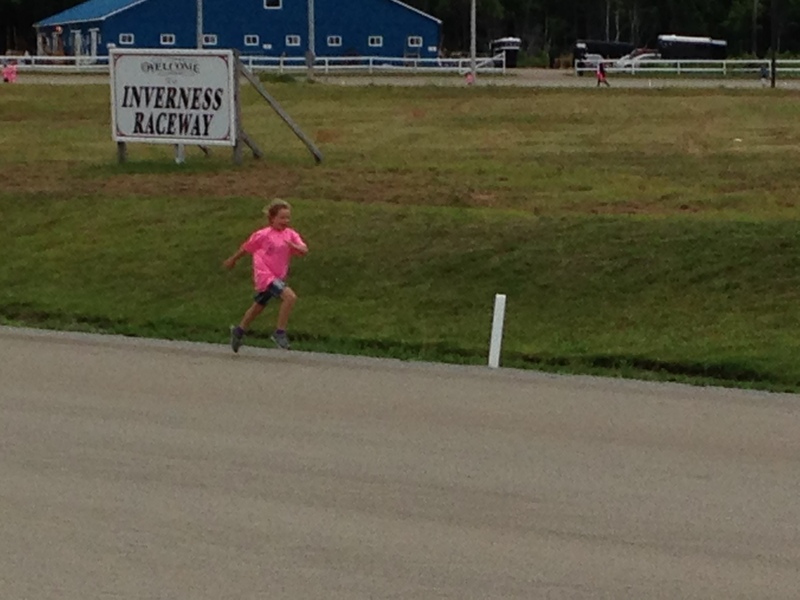 Here's Rebecca running along the race track. Abby is keeping pace as well and almost finished! 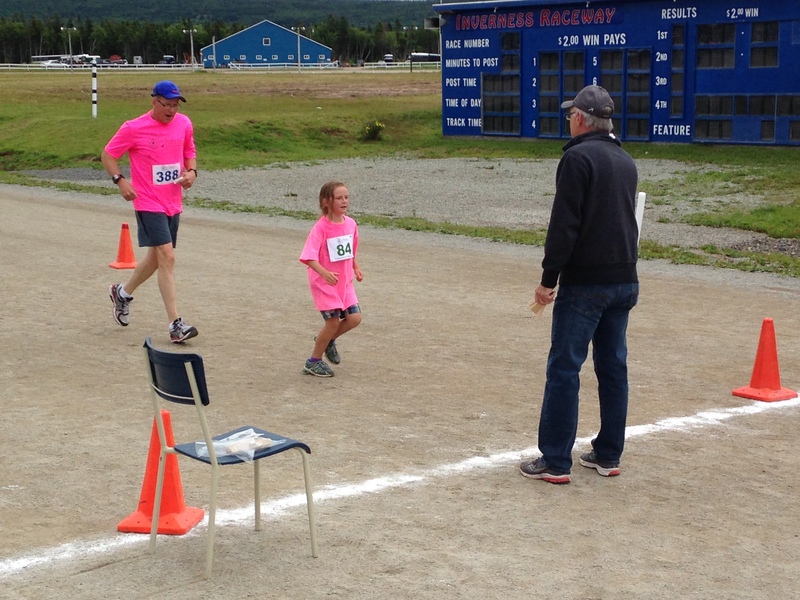 It was also Sheena's first 5 km race. Here they all are after finishing the run! Abby is a proud little one after her accomplishment. Here's Rebecca finishing her 5 km run. She was signed up for the walk, but decided to run instead. She ran with the adults and teenage kids. Needless to say, they had a fun and complete day of exercise and Grandma treated them to a breakfast at the Coal Miner's Cafe. 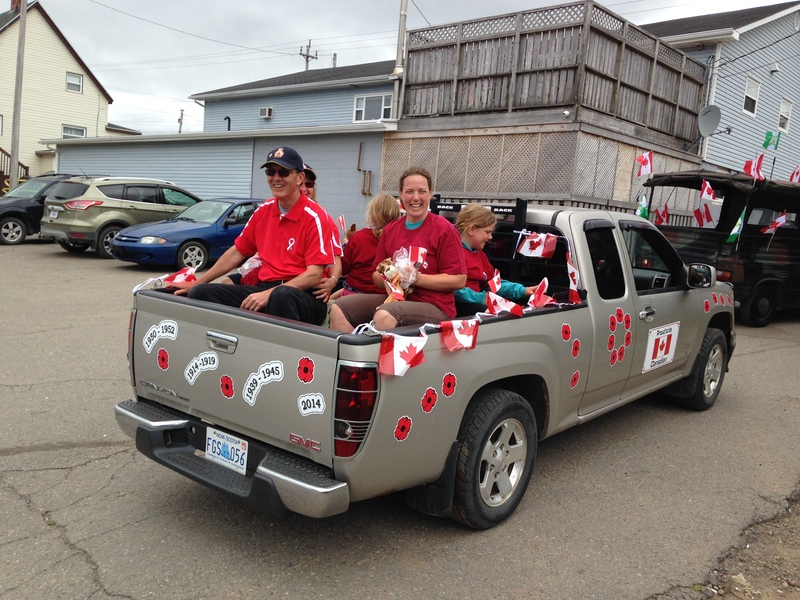 It was a busy day ahead for the girls as they were recruited to sit in the Legion truck for the festival parade. It was a first to be in a parade float and they were excited to get T-Shirts as well. 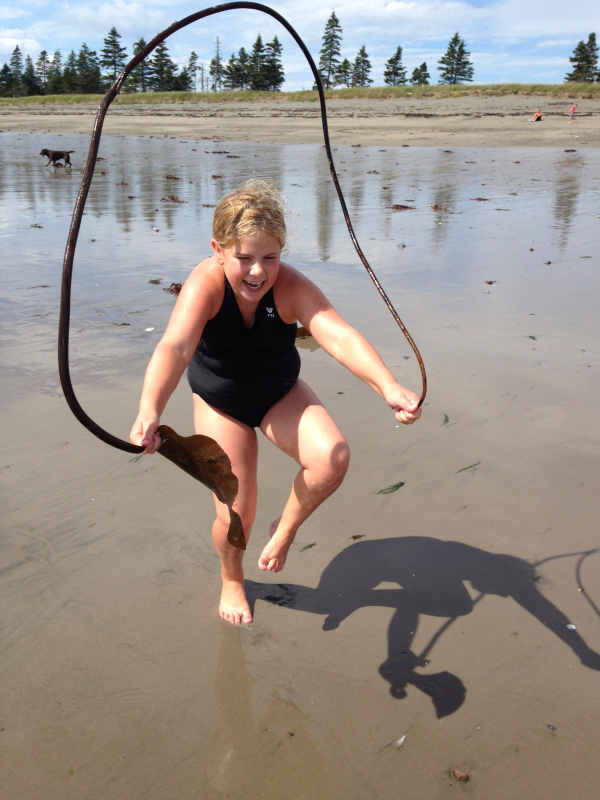 What did everyone do with their beach treasures afterward? 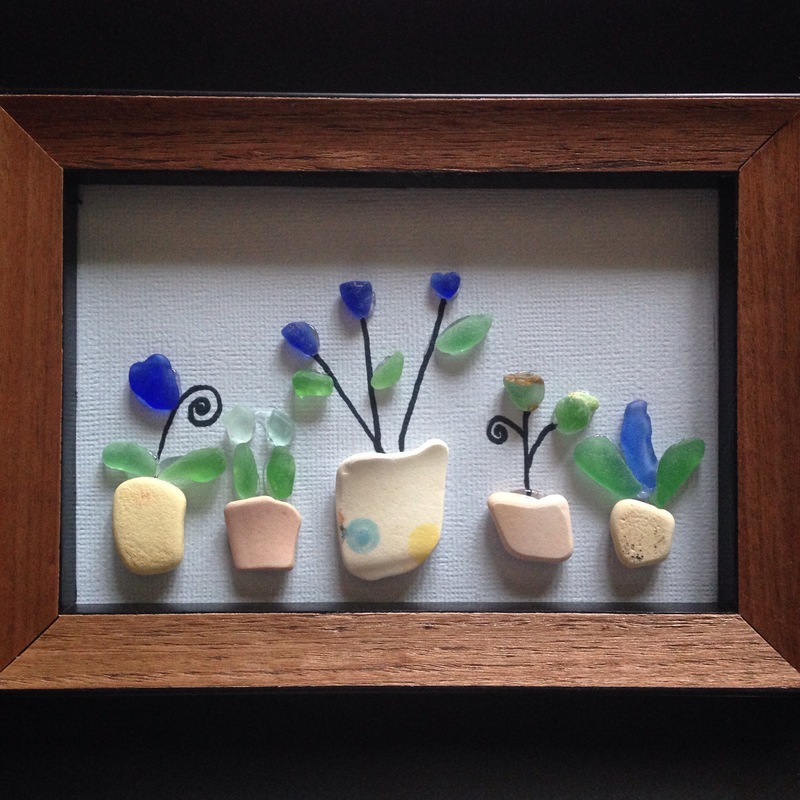 Well, Sheena helped out making seaglass art. This one below was made and designed entirely by Abby. The blue glass a rare glass find. The pots are made out of smooth pottery pieces also found on the beach. 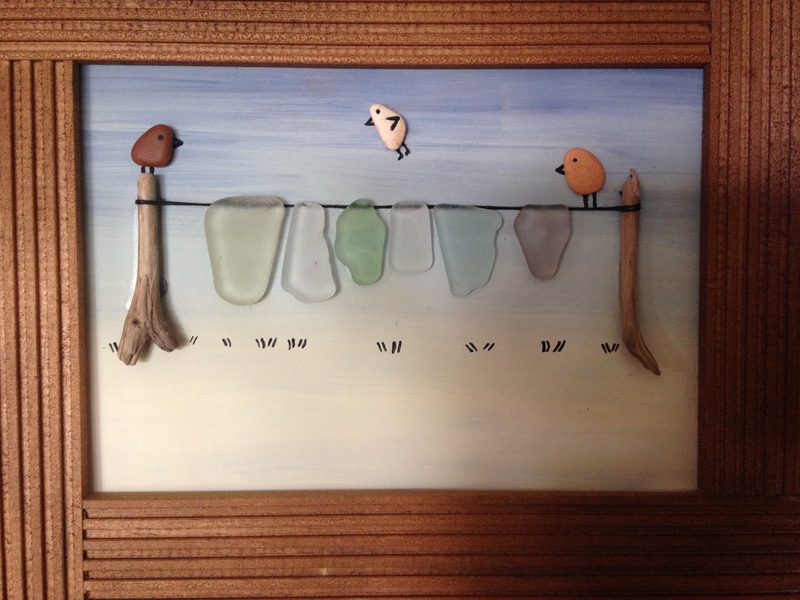 Sheena made the above picture with seaglass and small pebbles also found on the beach. She really has a knack for this type of art. After arriving back home to New Brunswick, we had visitors from Virginia Beach. Sheena's friend Lauren drove to Belleisle and brought her three children as well. Sheena spent the days taking the group to local fun spots, including one of our favorite exploration beaches at Duck Pond Rd beach in Gardner Creek. 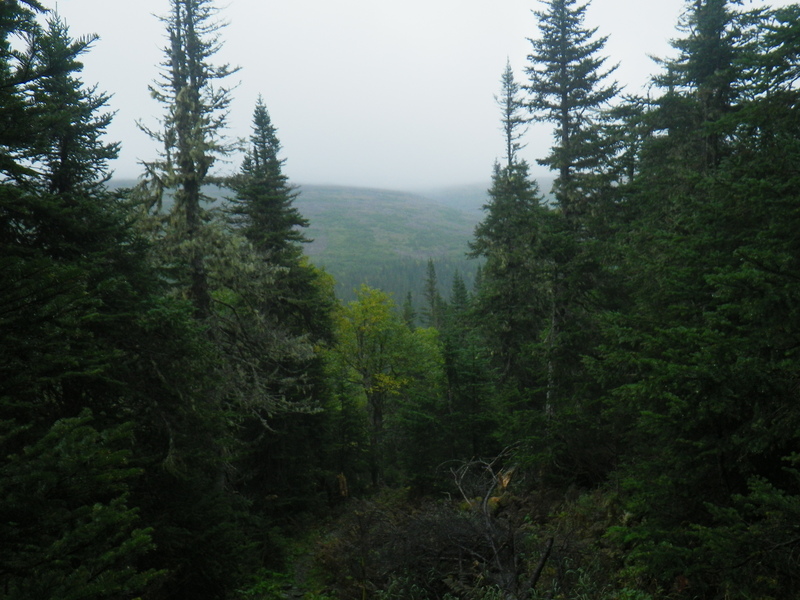 The below photos show some of the rocks you can explore and a freshwater creek leading into the Bay of Fundy. Here's the gang gathered under our tree fort. They spent a few days at their 'restaurant' serving dirt coffee, sand cakes and chocolate mud desserts. I'm finally posting a few photos from this summer as we've had a busy one so far. With a colder spring, we had to get used to colder water for the earlier part of the summer. This however, did not stop the kids from putting on their bathing suits and jumping in. 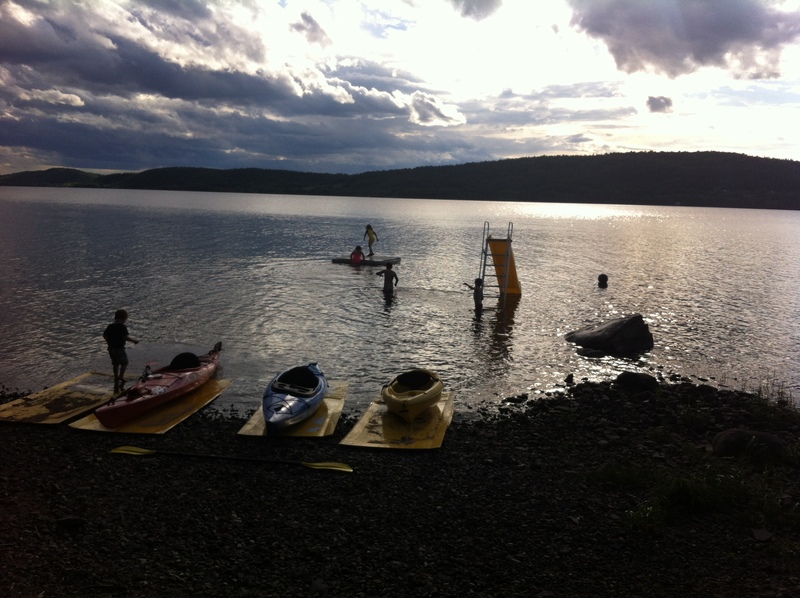 The above photo shows the kids playing in the Belleisle Bay with friends at their property along the shore. It was a beautiful night for campfires. The girls stayed up until 11pm those nights! 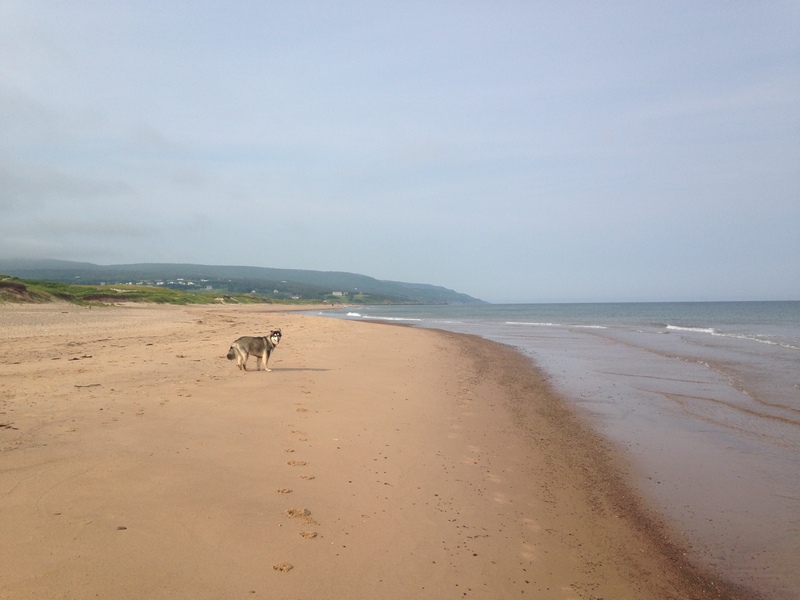 We also made our way to Cape Breton for some valued family time, which comes of course with beach time in Port Hood, Inverness and West Mabou. 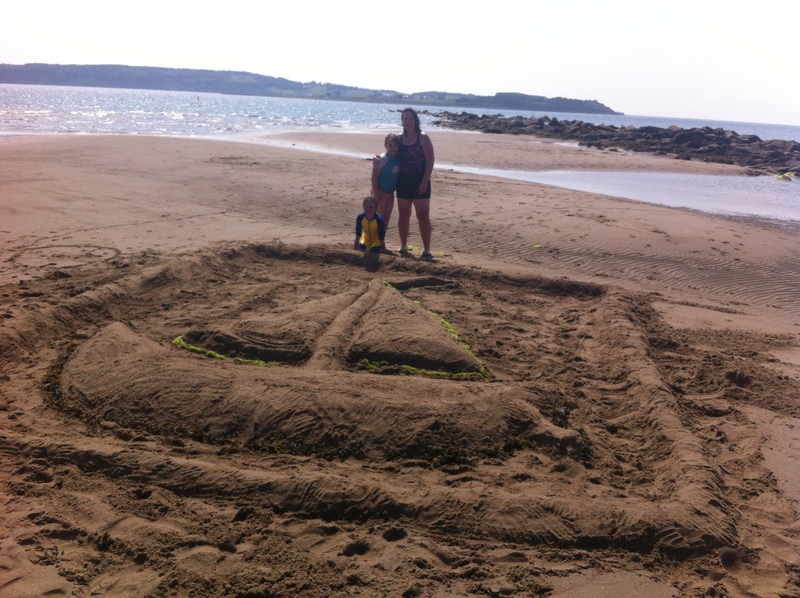 We spent much time between those three beaches in our time in Cape Breton. Sometimes two beaches a day! 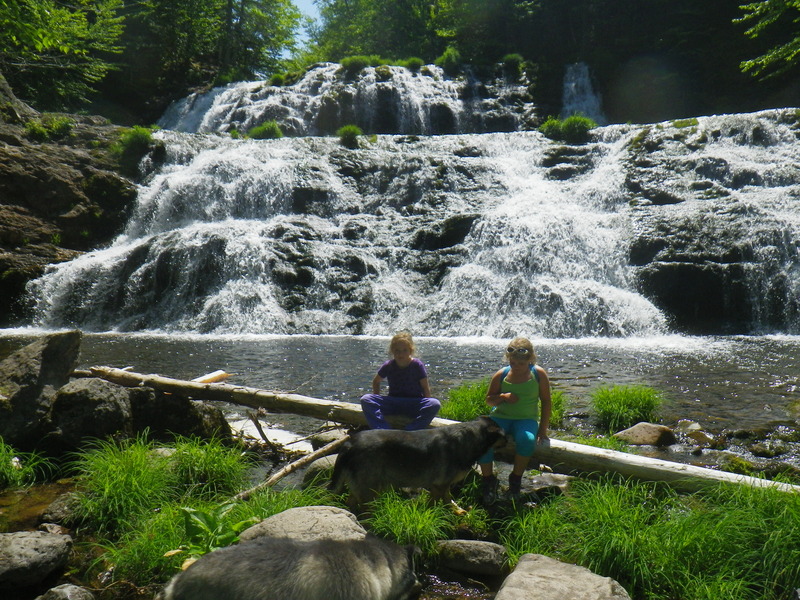 On another day with the kids, we headed to Piper's Glen falls (Egypt Falls) in Scotsville. The girls were very excited to see such a big waterfall. Rebecca announced she was going into the water no matter what — and we all quickly found that it was probably only about 8 degrees! Again, this didn't stop them from heading in. 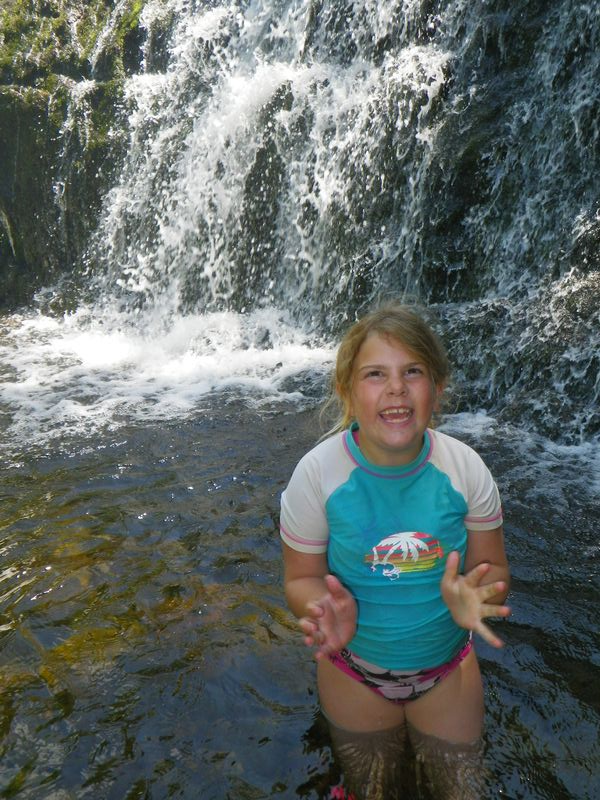 Below is Abby heading into the cold cold water! 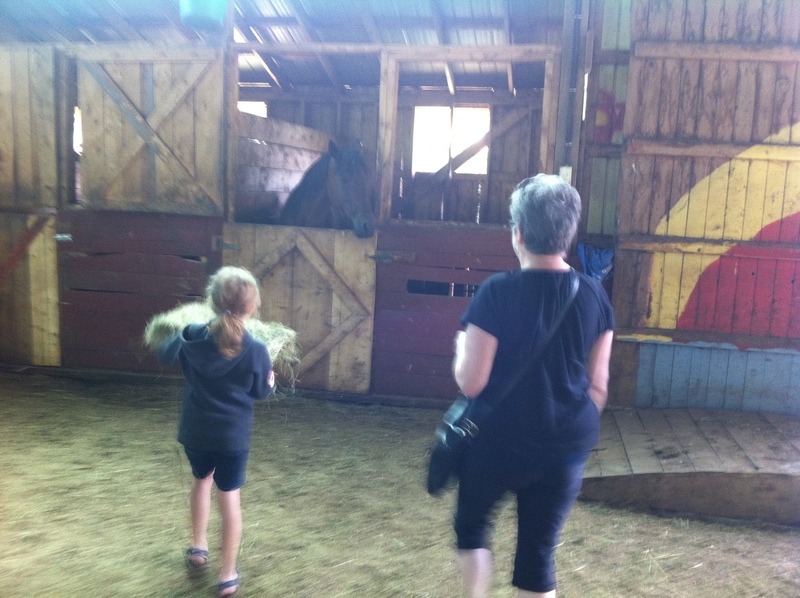 On another adventure with Gramma, we all ventured to Rocking Horse Ranch in Baddeck. 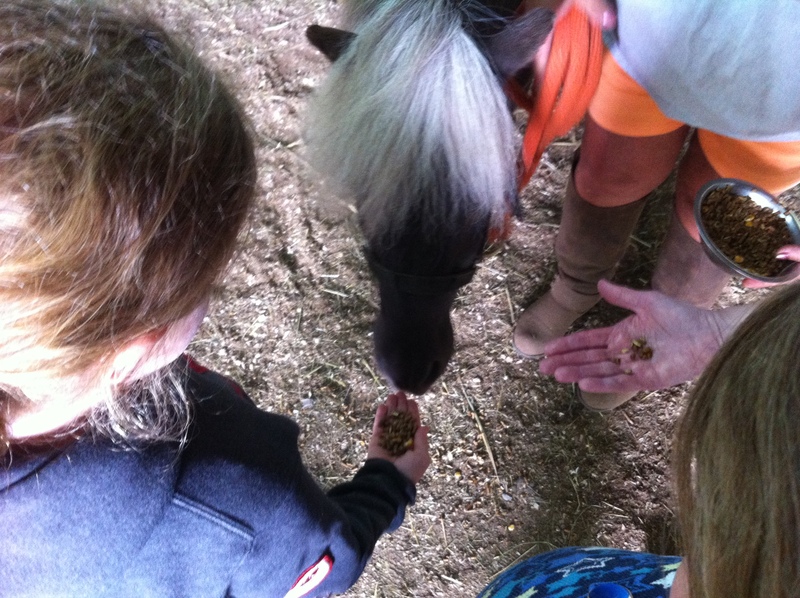 It is a rescue farm for all sorts of animals: from ducks to horses to minature ponies. This one pictured below is 38 years old and quite the character. He kept trying to knock the bowl down so he could eat all he wanted. Abby loved taking him for a walk around the barn. The girls were also given the chance to feed the horses with slices of hay. Rebecca really got into it and fed most of the horses in the barn. 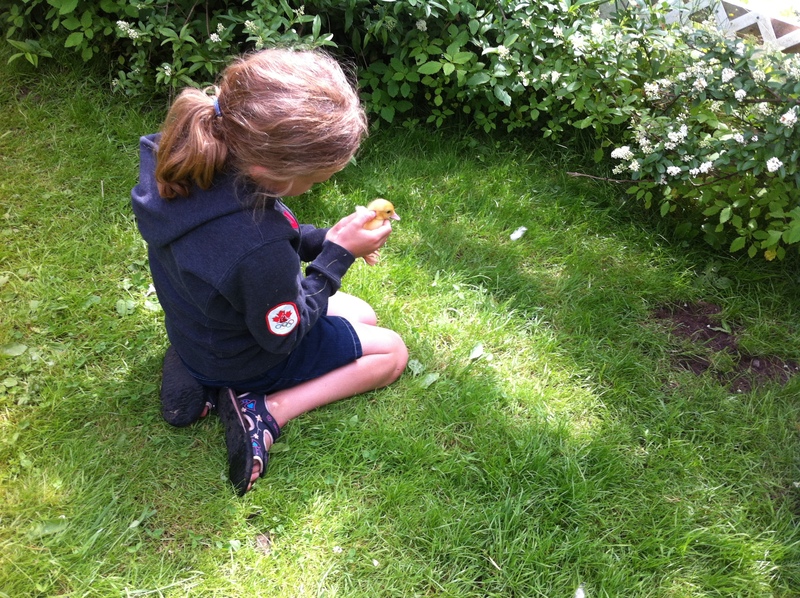 Here's Rebecca holding onto a little duckling. There were a few wandering around with the mama duck outside of the barn. 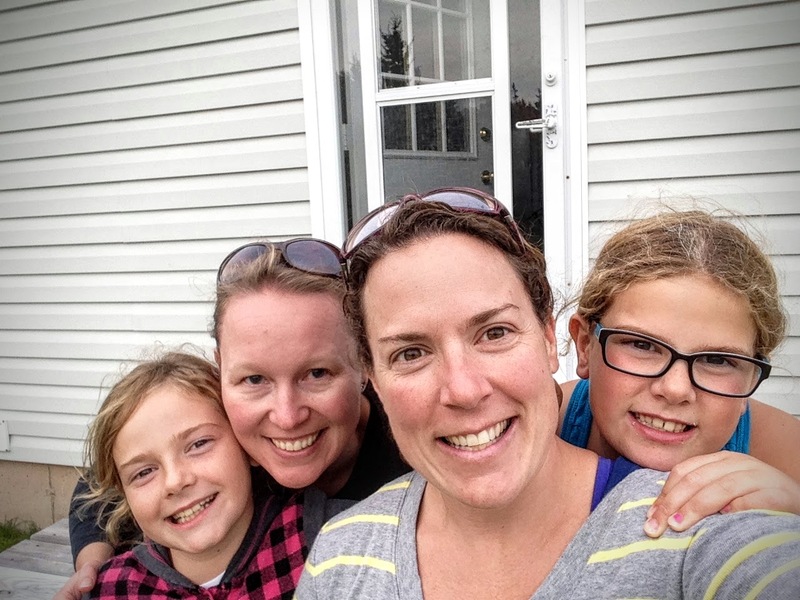 We had a wonderful visit from Sheena's cousin Karen while we were in Cape Breton. 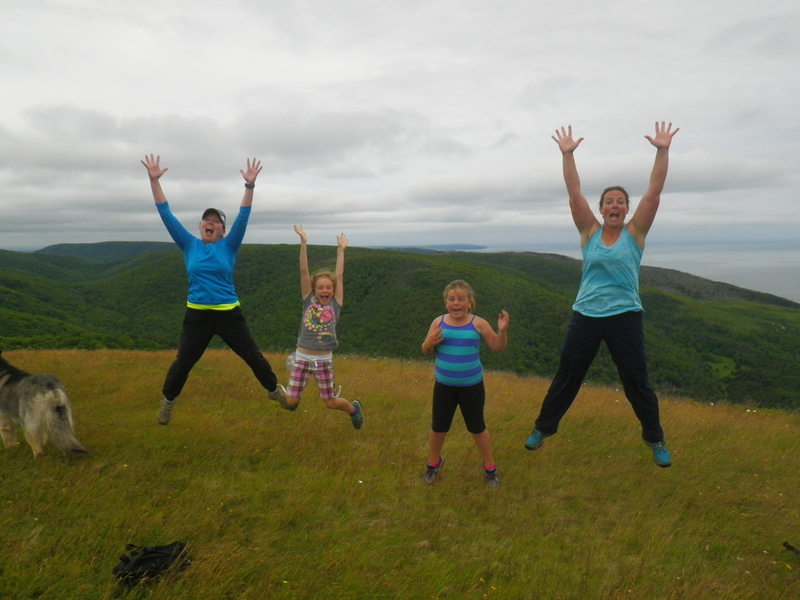 After Sheena and her returned from their highland adventure, we all took the girls on a hike in Cape Mabou. 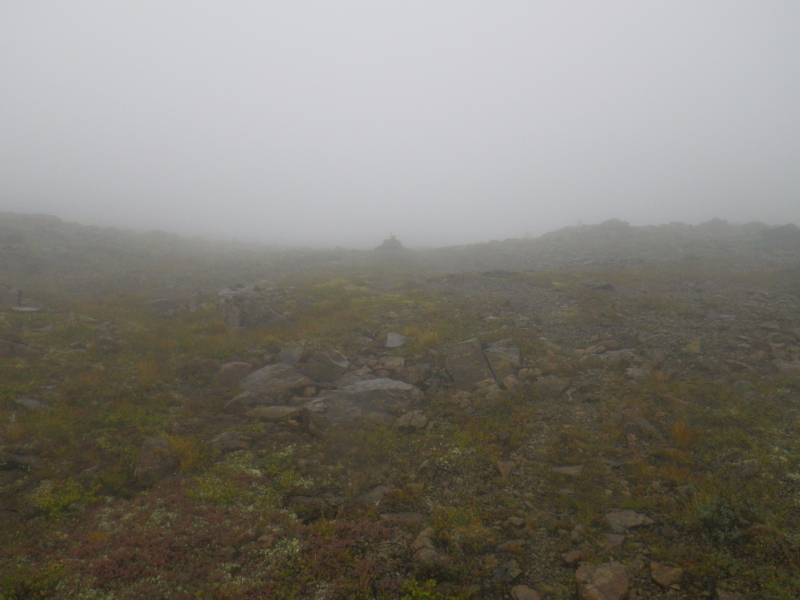 While I was somewhat forgetful on the length of the hike, we managed to all make the huge climb to the top of Beinn Bhiorach (Steep Mountain), the higher mountain the the area. We took many rest breaks, seen below and enjoying the views of the ocean. 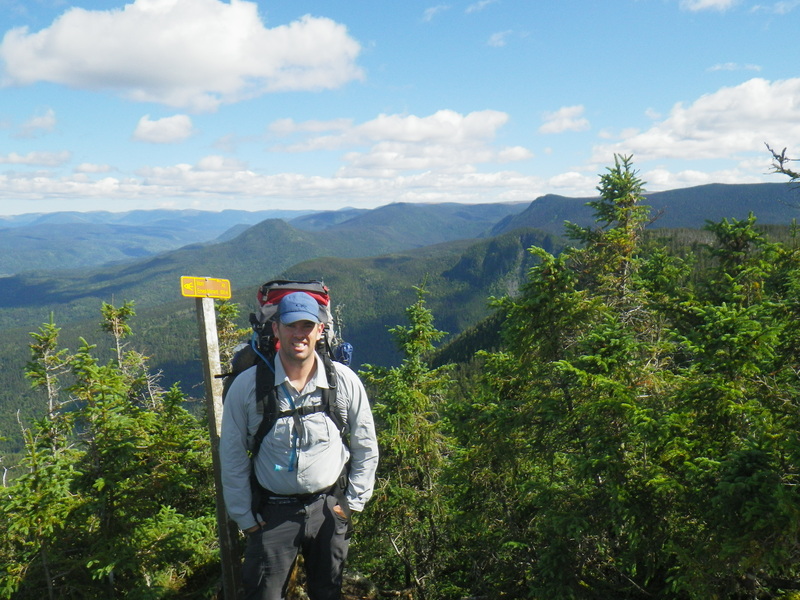 Of course, there was the well earned celebration upon reaching the top! 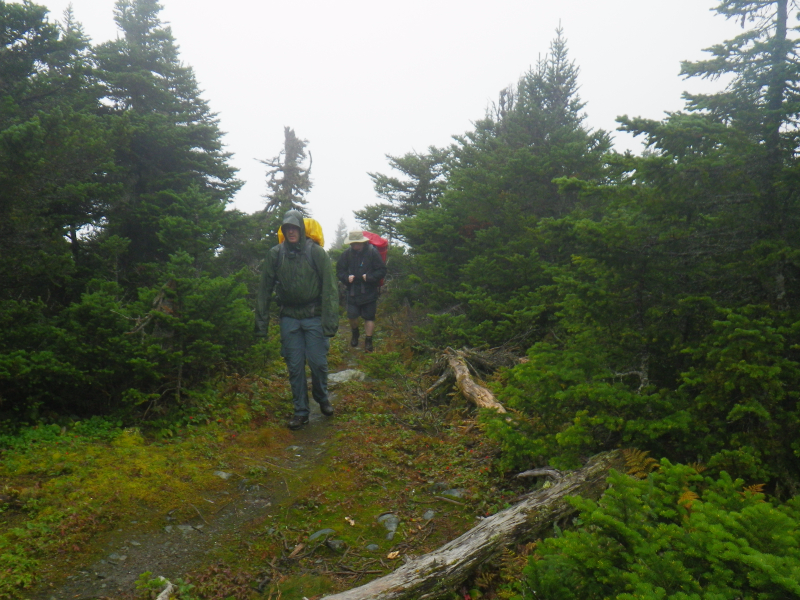 Despite a chillier mid-July, we still wanted to get out and explore. We found some waterfalls to visit in the Glendale area. 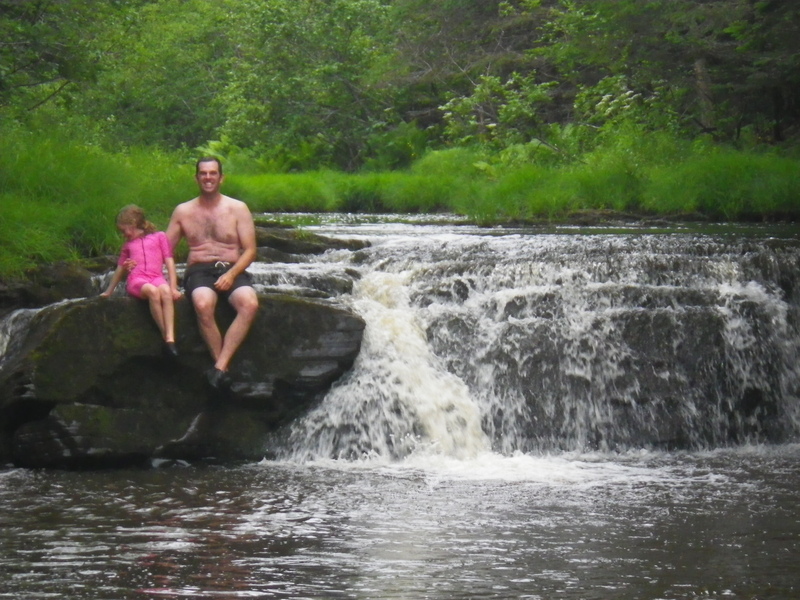 The falls were called Maple Brook Falls and had two nice areas for swimming and playing around. Rebecca and Abby did some of their first climbing around waterfalls in the two times we visited. In the picture below, the water is fairly chilly. Rebecca kept taking the cold water and splashing me with it. She's reaching down for more here. 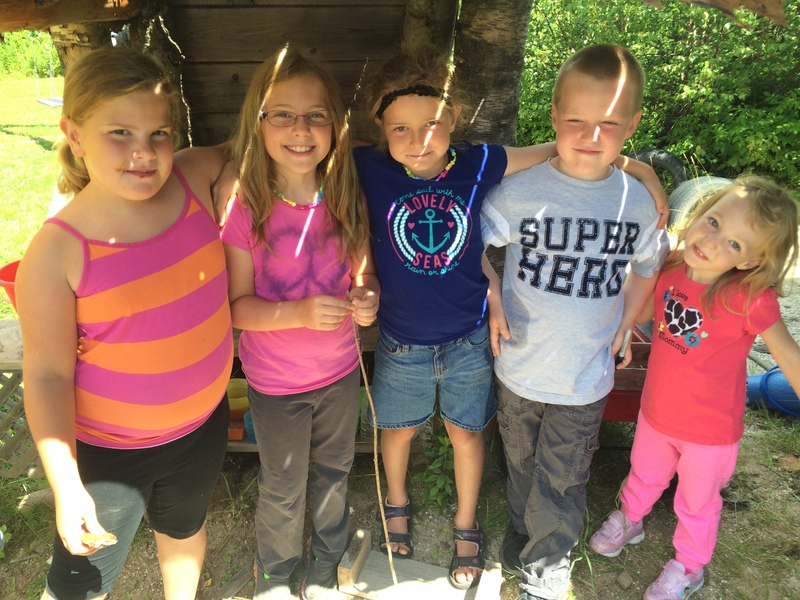 It has also been a summer of firsts for the girls. 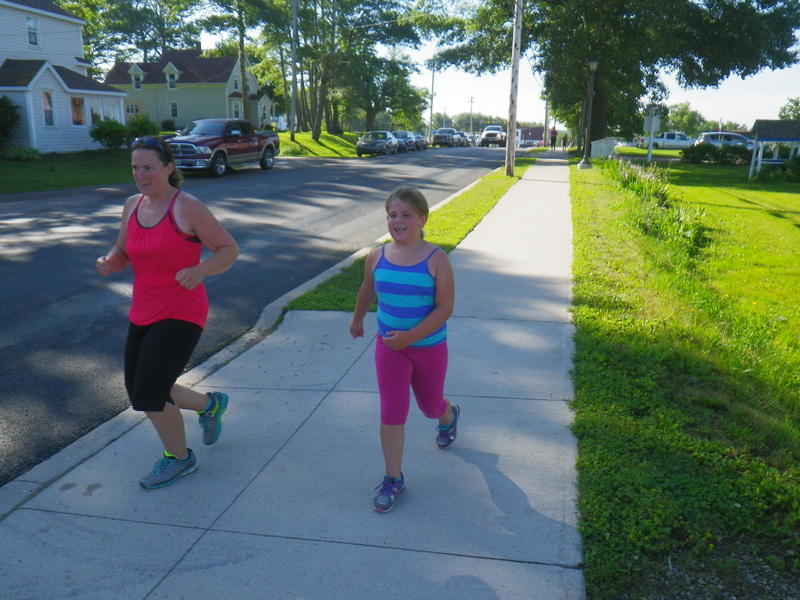 Sheena has been an avid runner since last year and wanted to participate in some of the fun runs that happen during the local festivals in the communities around Cape Breton. The girls were also excited to try them out too. Here they are below doing a run in Port Hood as part of Chestico Days. Abby is happy to cross the finish line. Grammy participated too in the walk. All were happy to receive their medals for taking part. We also spent many days at Inverness Beach. Inverness Beach is well known for its sea glass hunting. 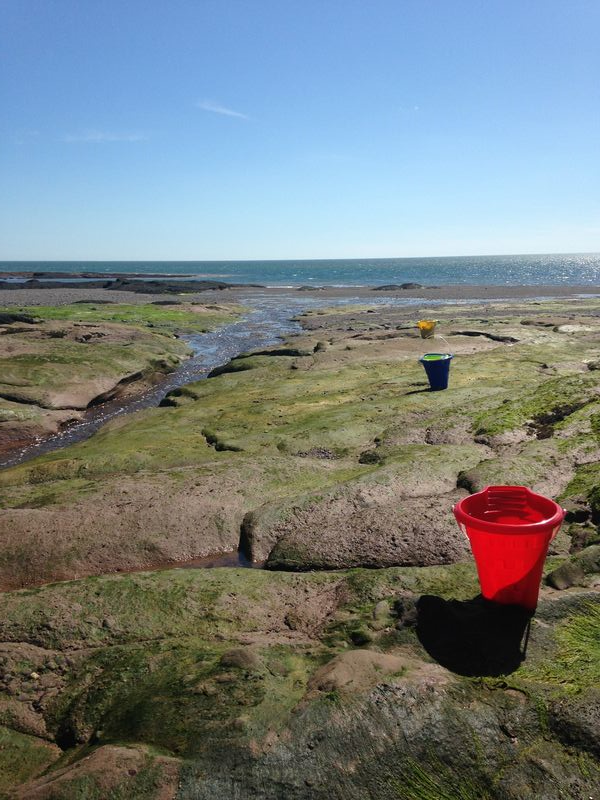 We would head down at low tide and walk the length of the beach looking for the rarest pieces of glass. There's nothing nicer than spending the morning walking the sand. Another beach we frequented was Port Hood Beach. 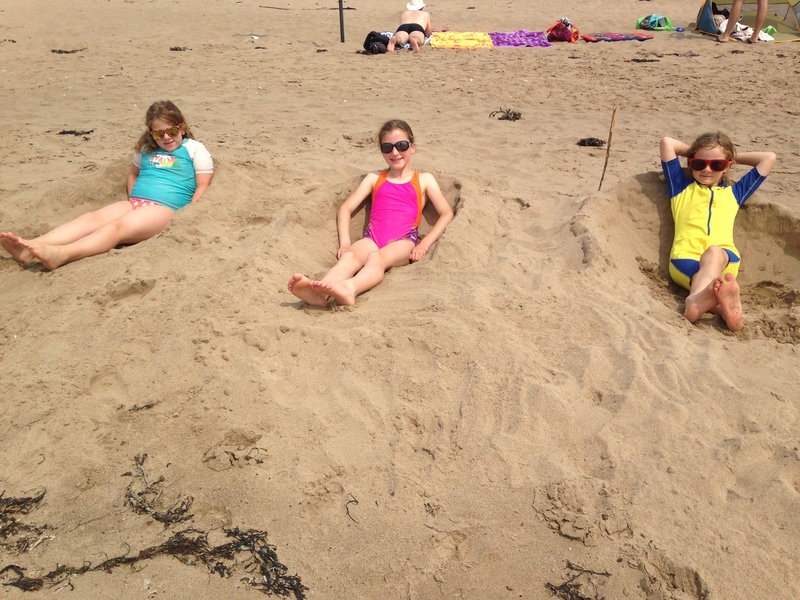 While there in early July, the girls made friends with Regan and made beach dates with her to meet up for beach fun. They spent quite a few days making sand castles, using the boogie boards and searching for hermit crabs. 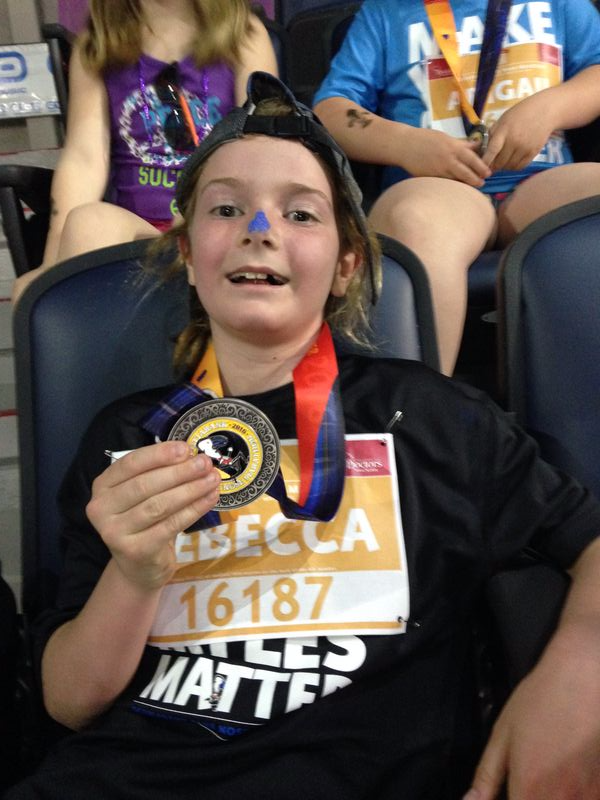 Ever since doing the airport run in Saint John, Rebecca has been interested in running all sorts of different races. 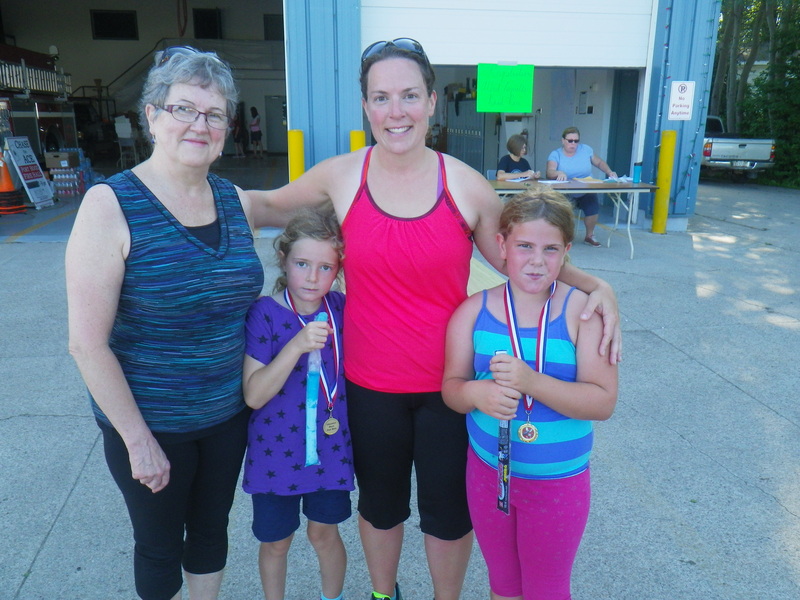 Sheena found that there was a kids triathlon in Port Hood mid July. So, Rebecca registered and tried it out. You can see her finishing her swimming below. We should note, that the water was below 15C and she was only one of 3 kids to actually brave the water for the swim portion! Rebecca then took to the bike for the ride down the beach road. 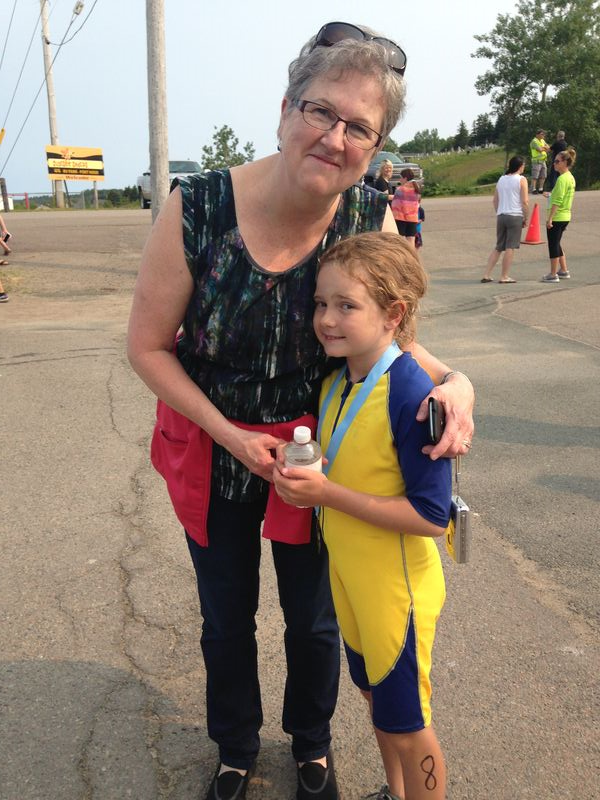 Here's a proud Gramma after Rebecca finished her first triathlon! We are all proud of her. 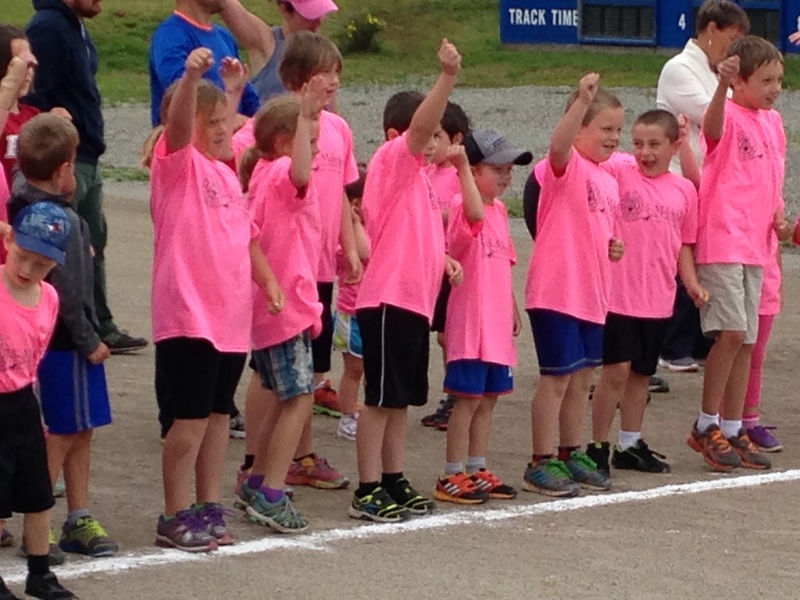 Saint John Kids Fun Run — at the airport!